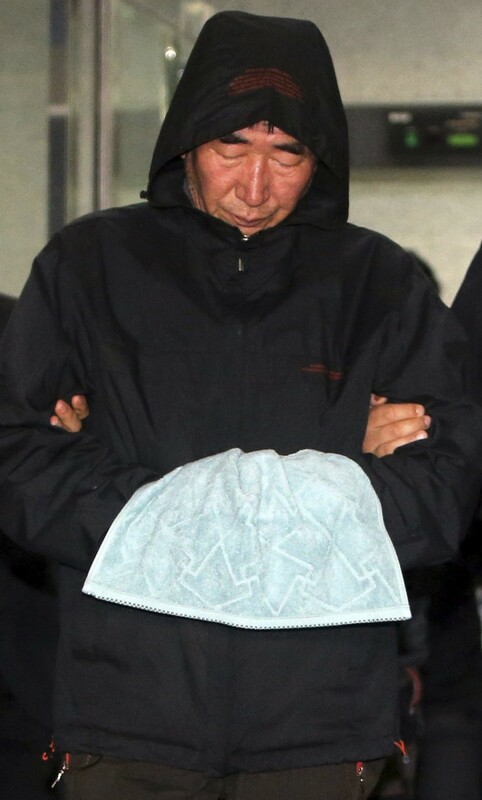 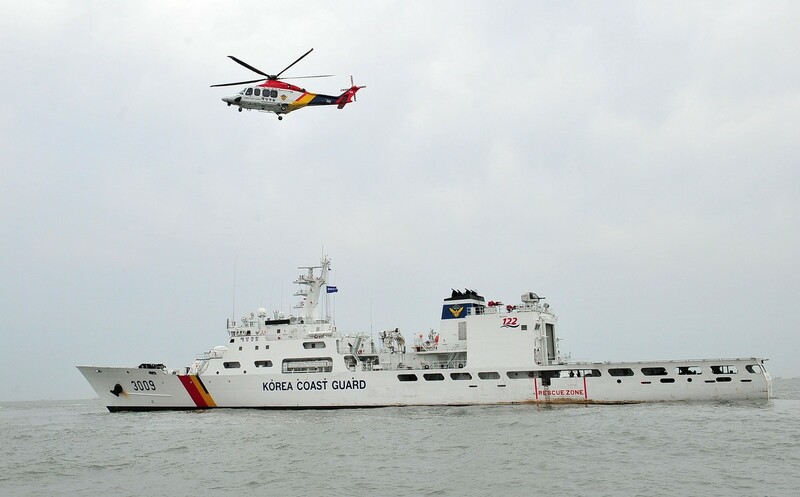 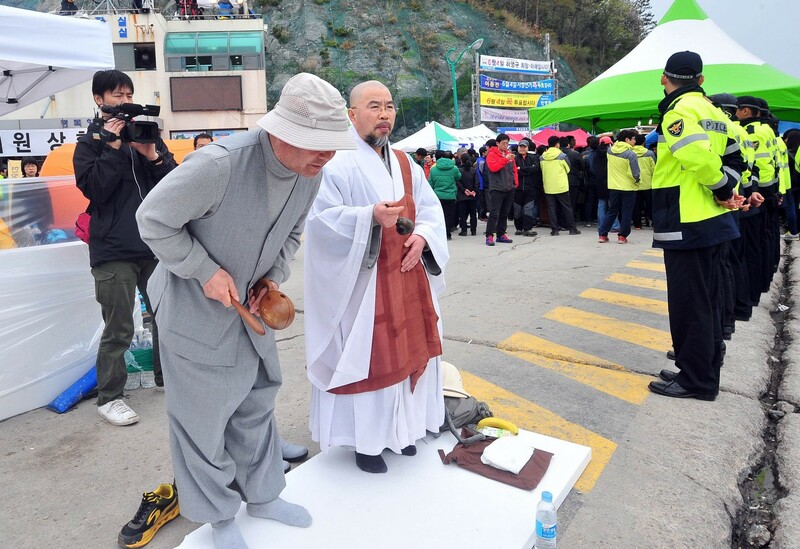 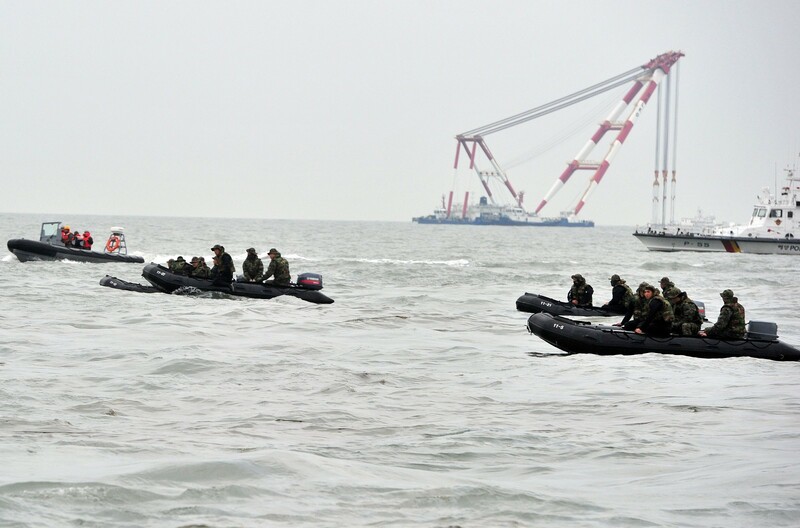 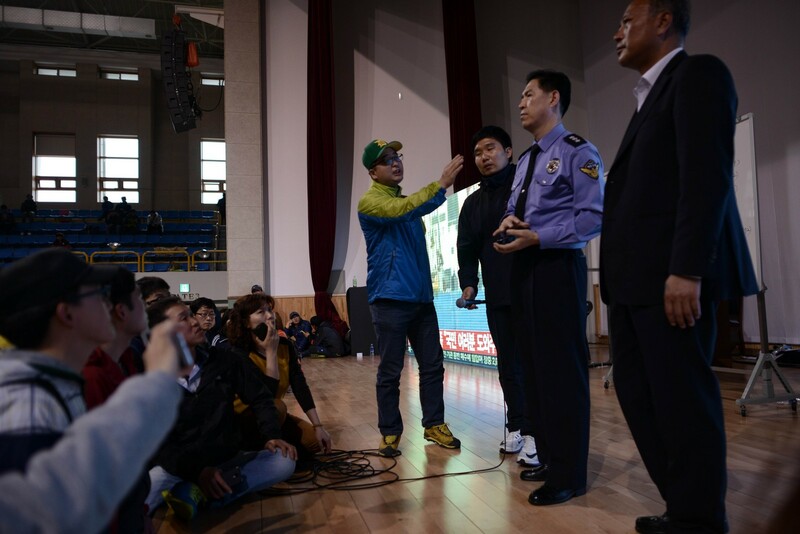 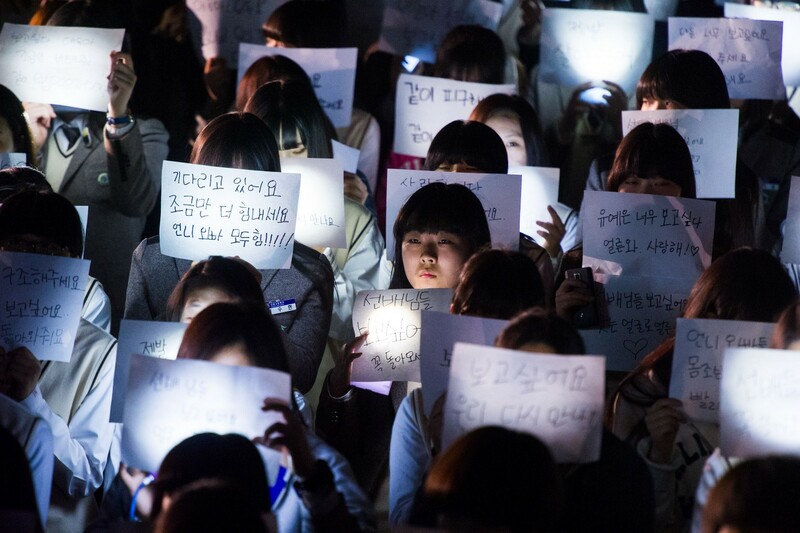 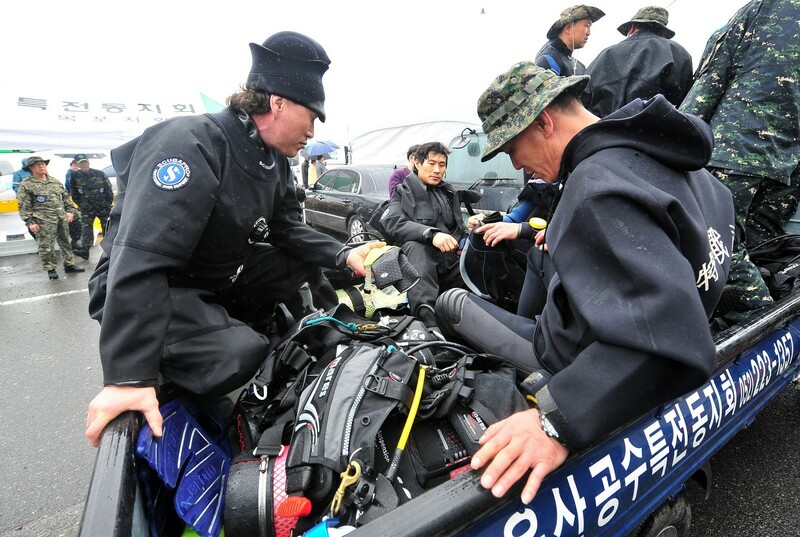 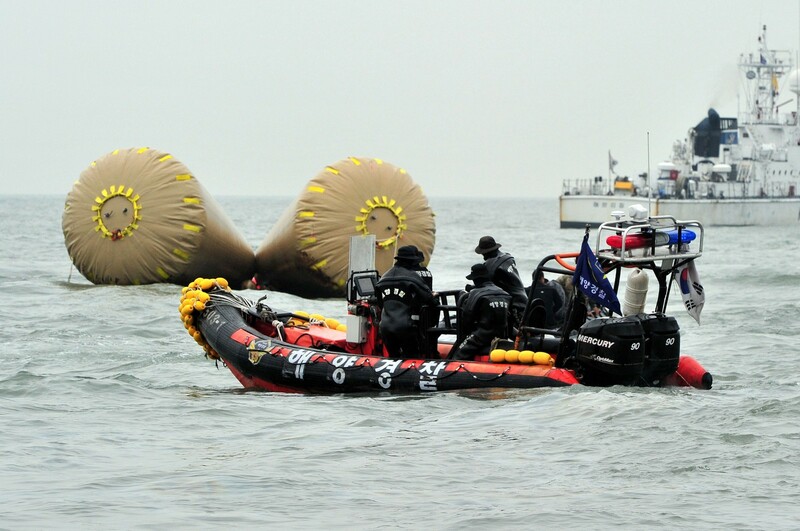 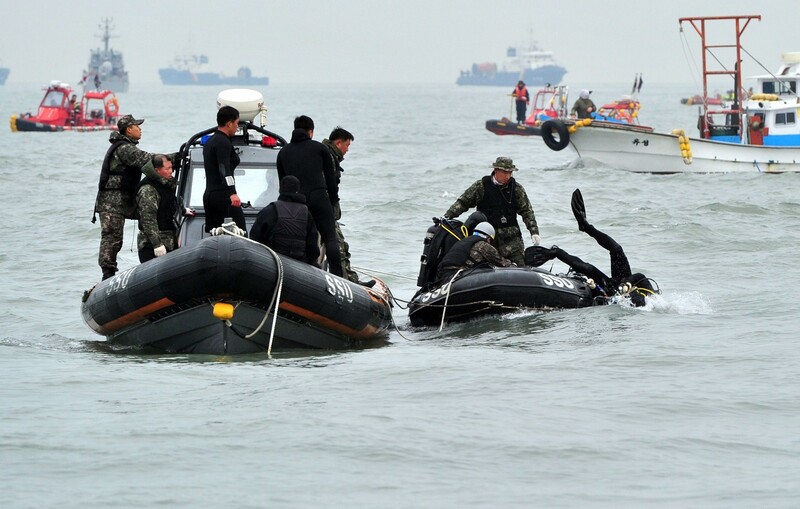 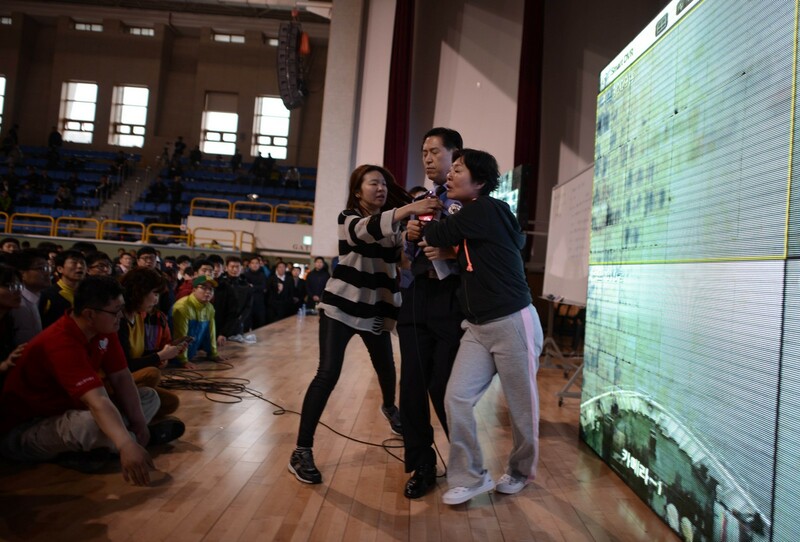 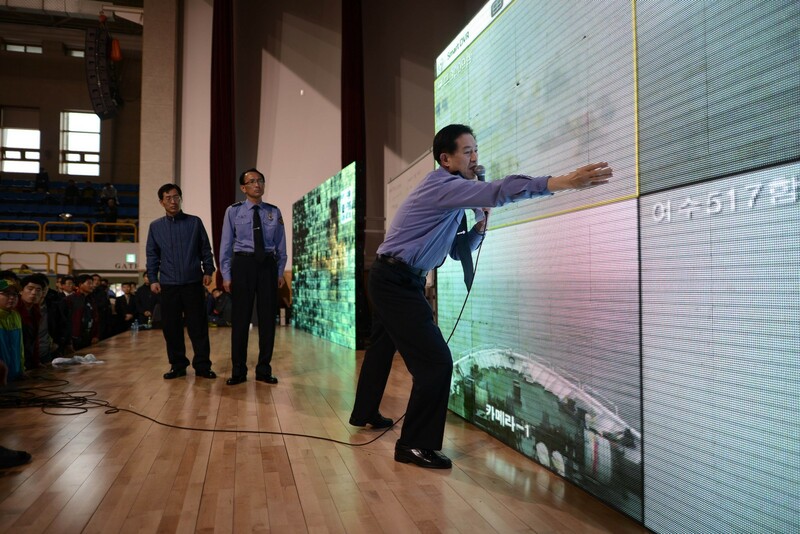 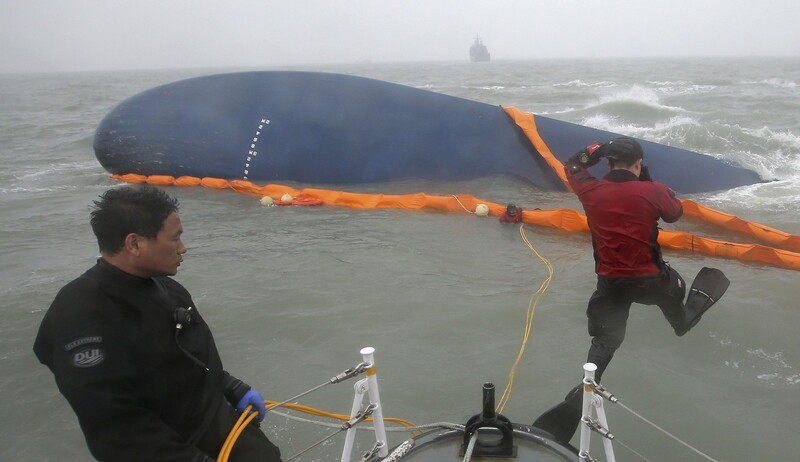 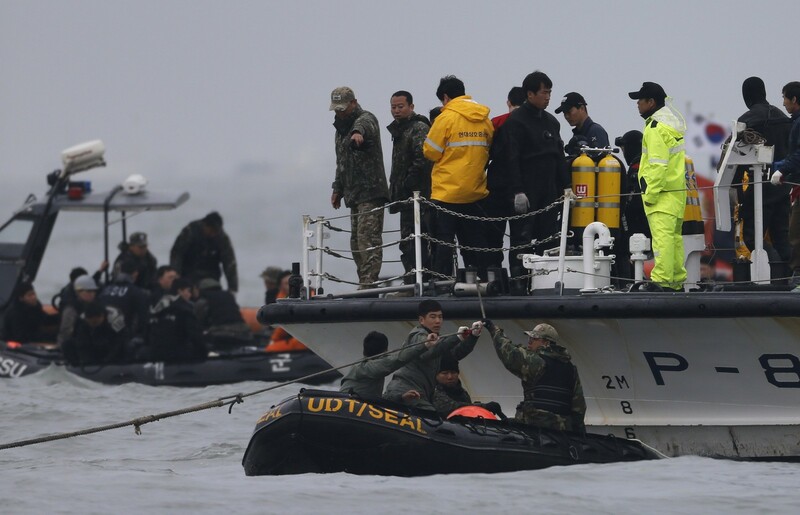 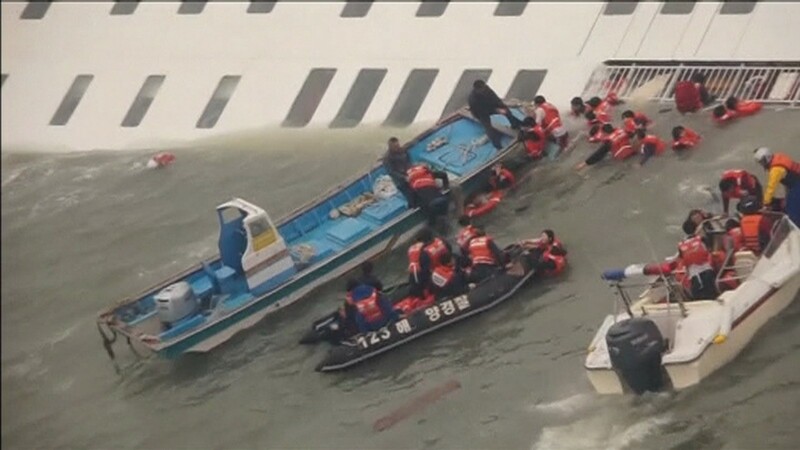 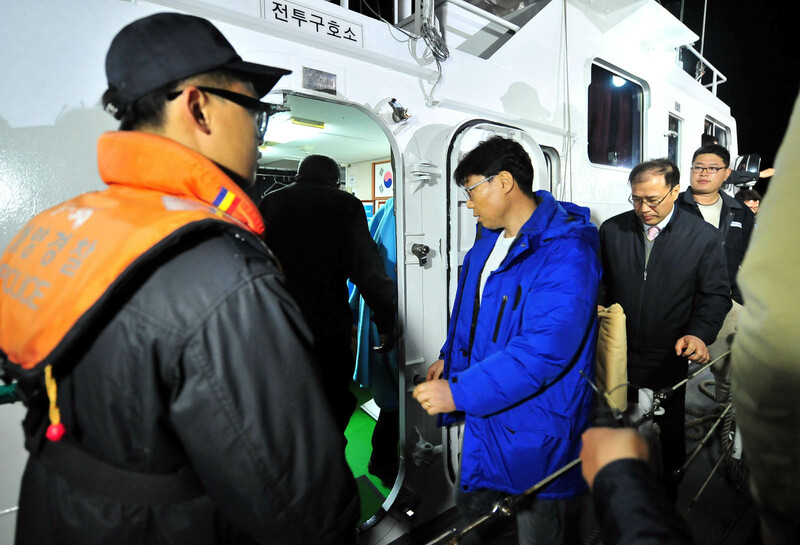 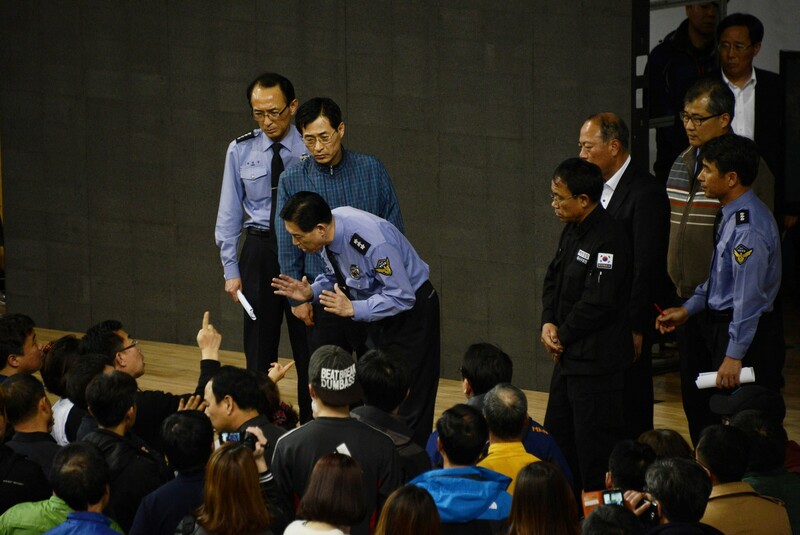 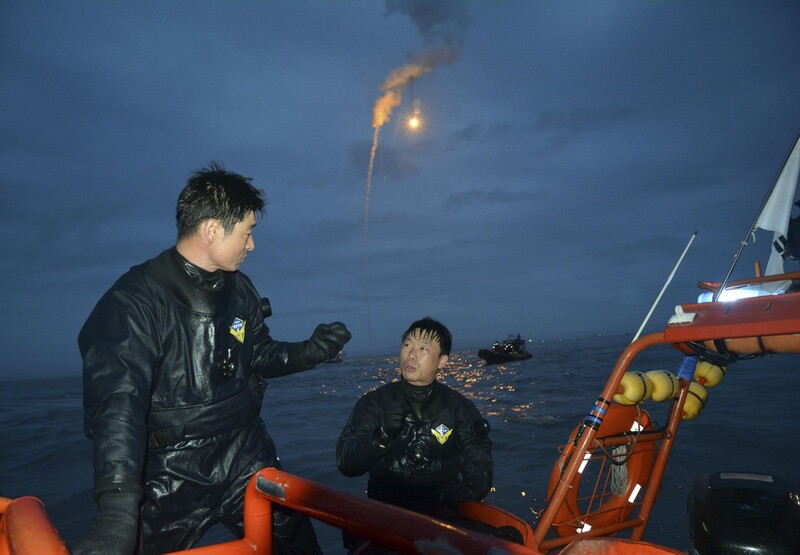 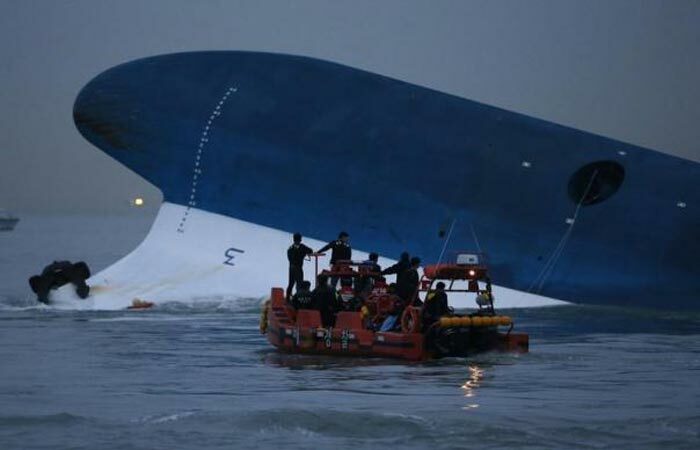 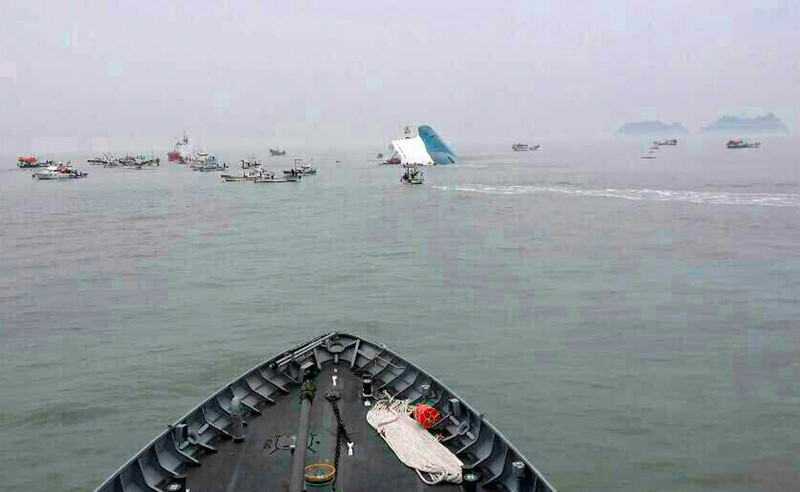 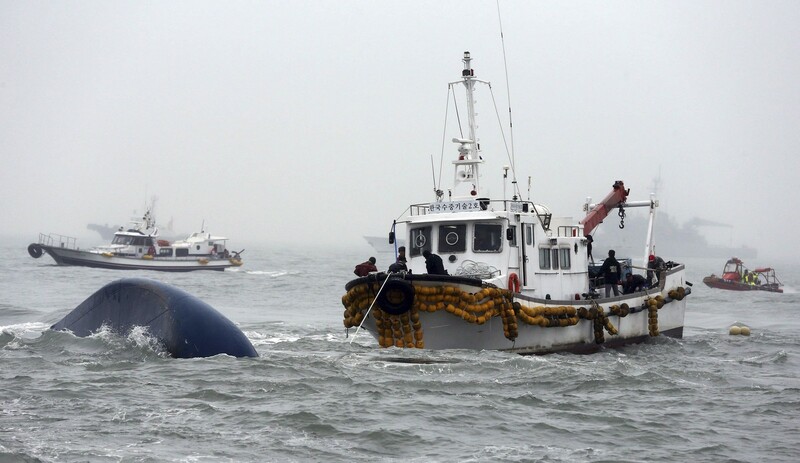 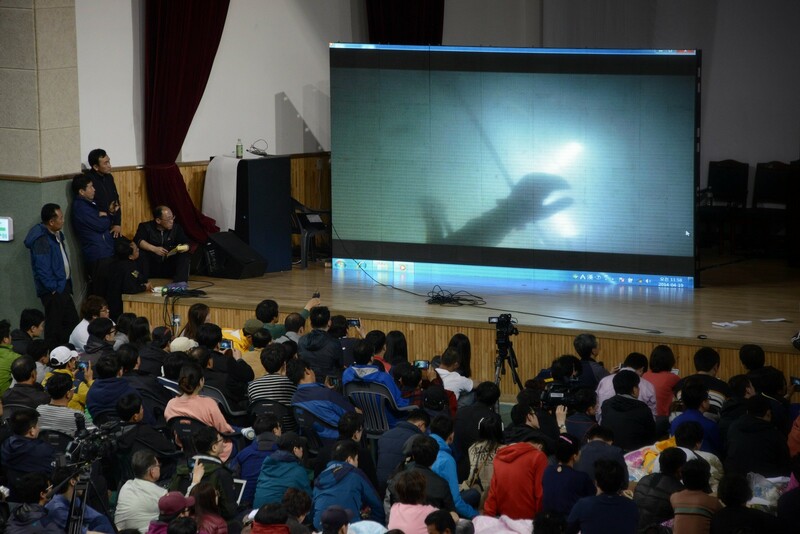 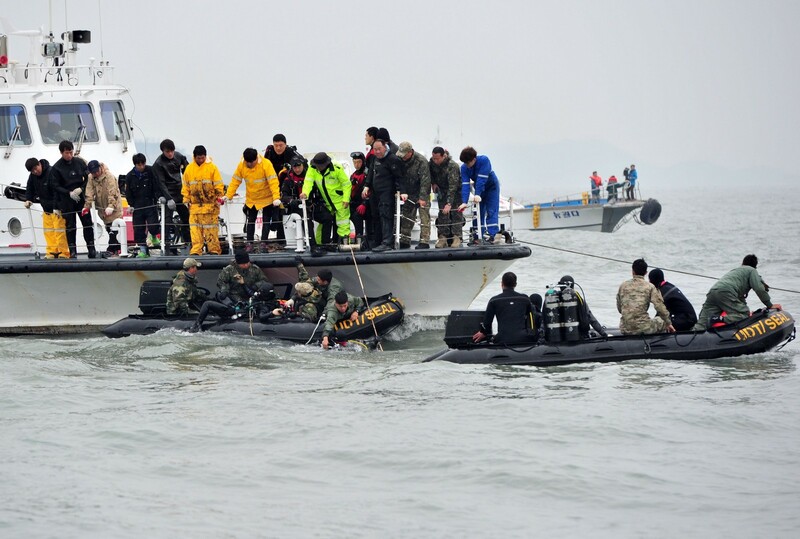 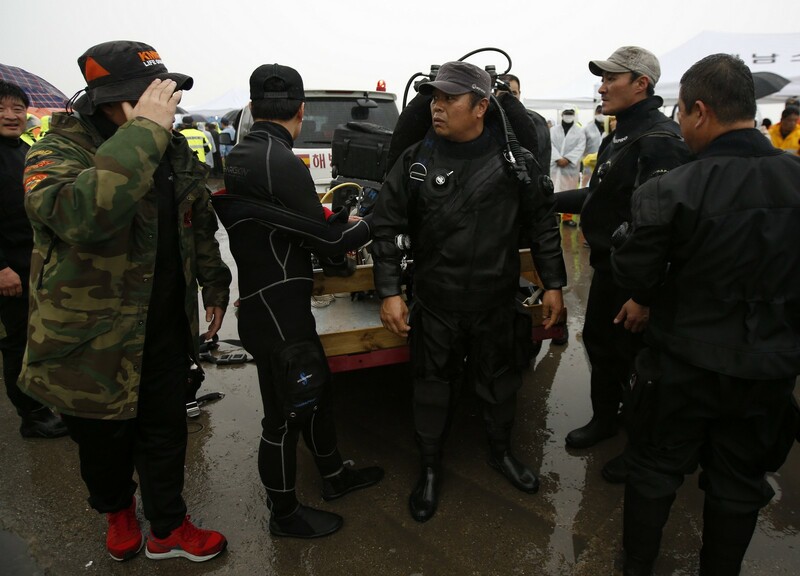 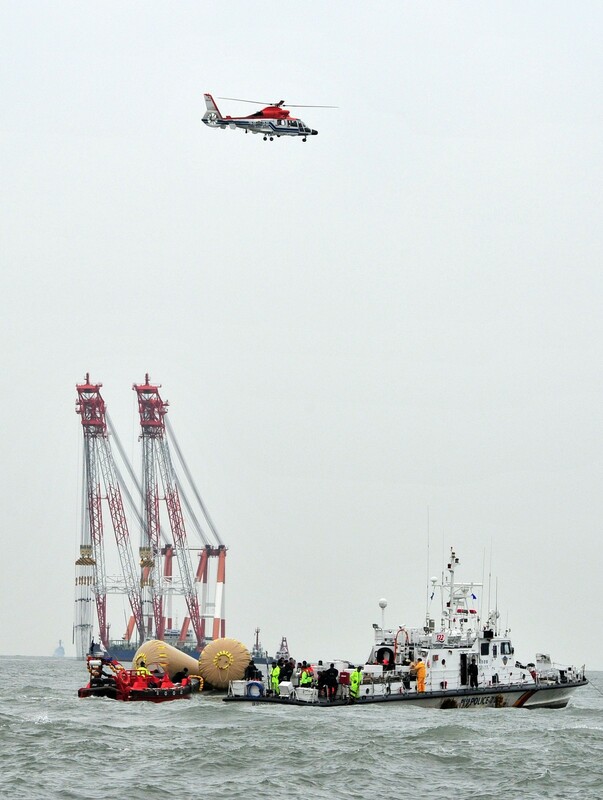 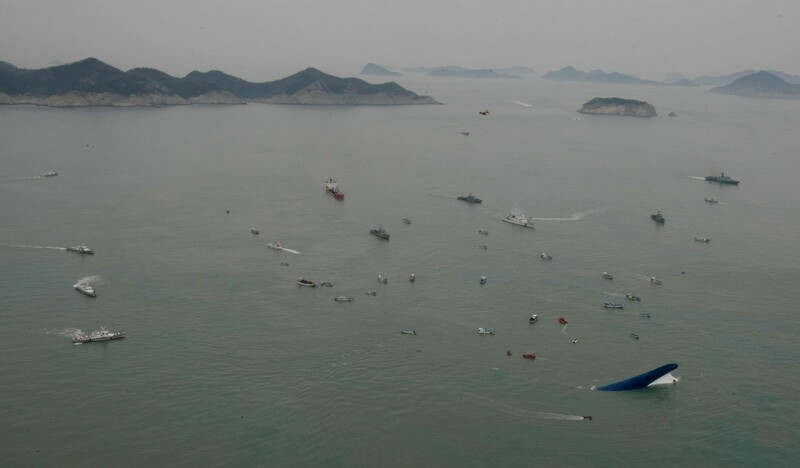 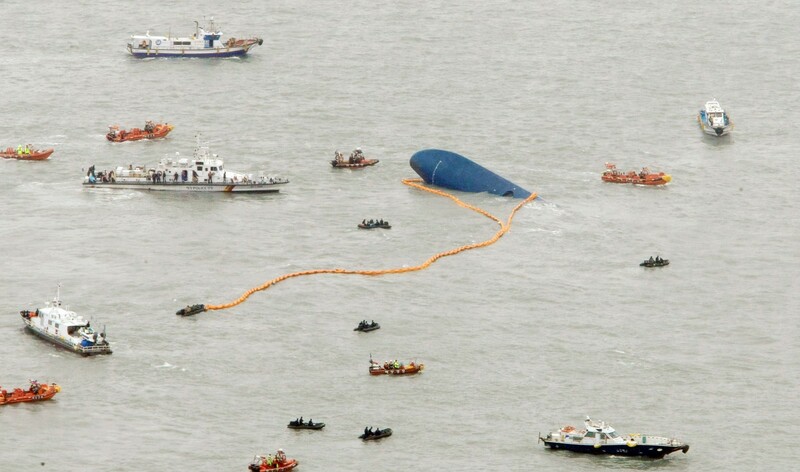 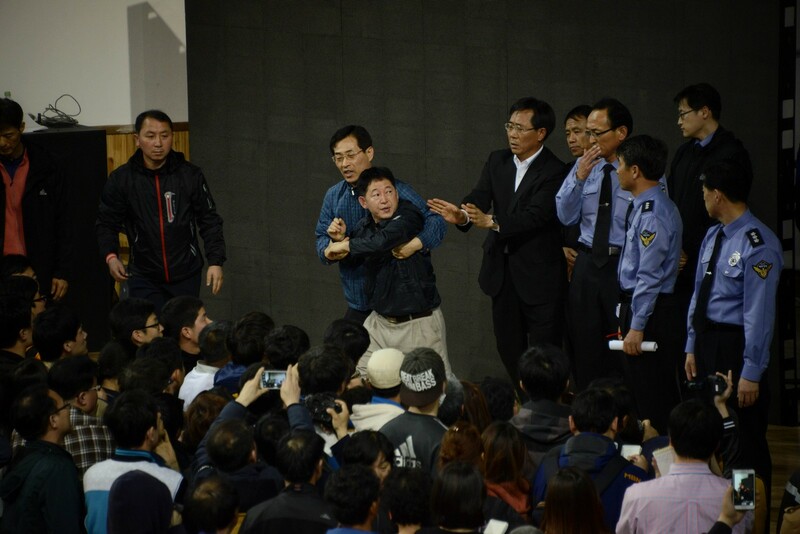 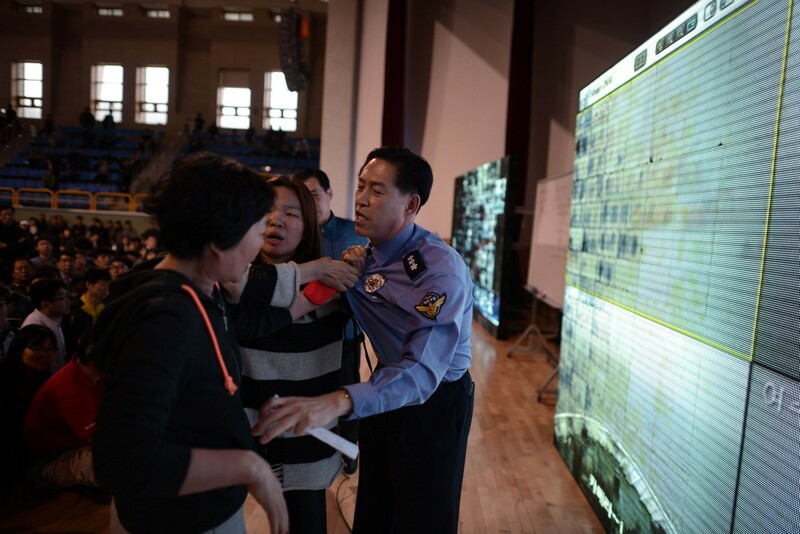 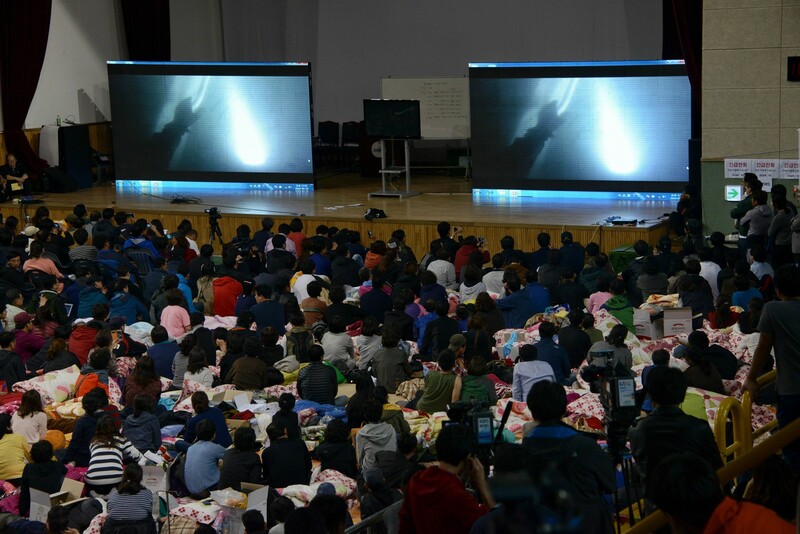 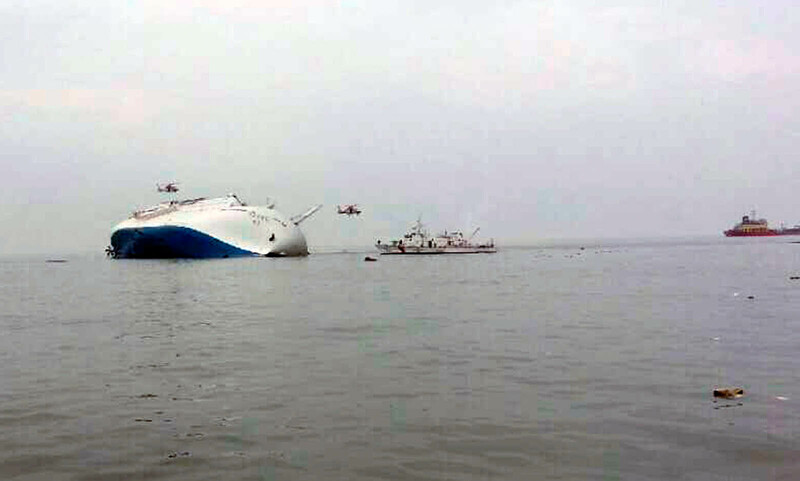 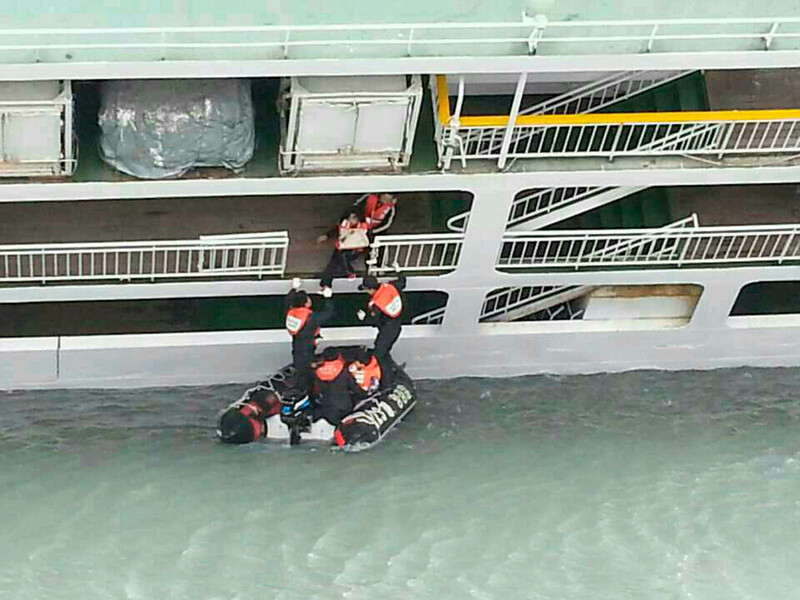 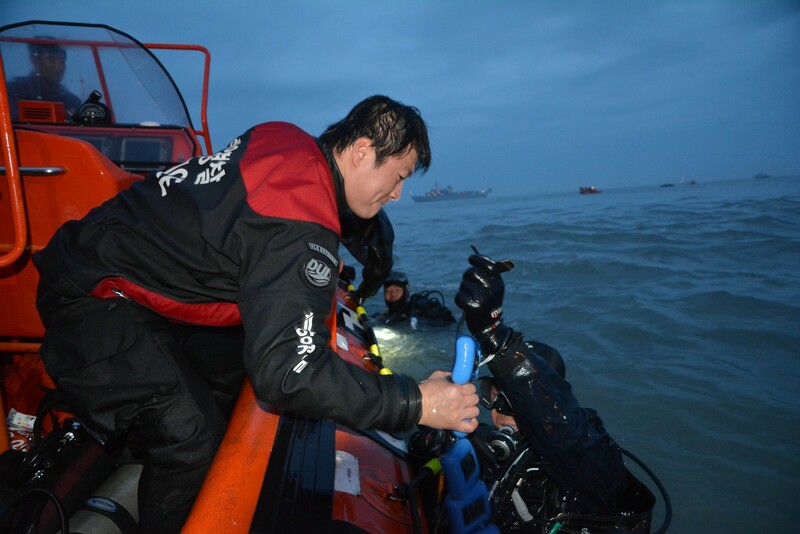 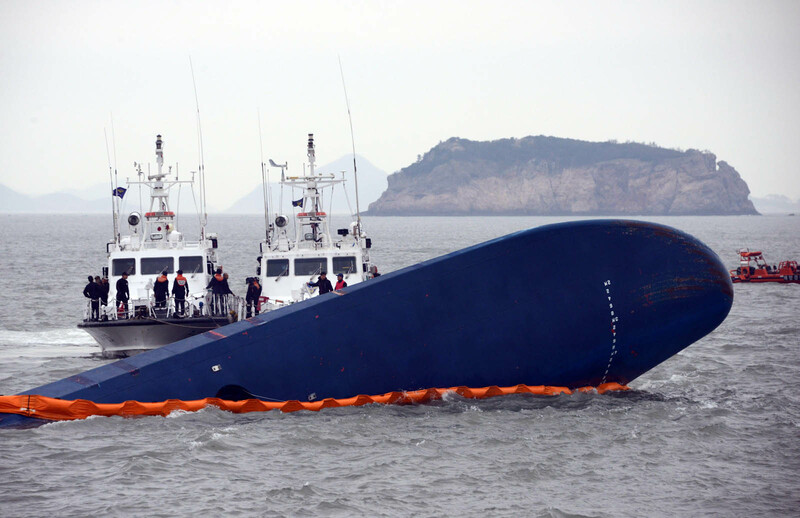 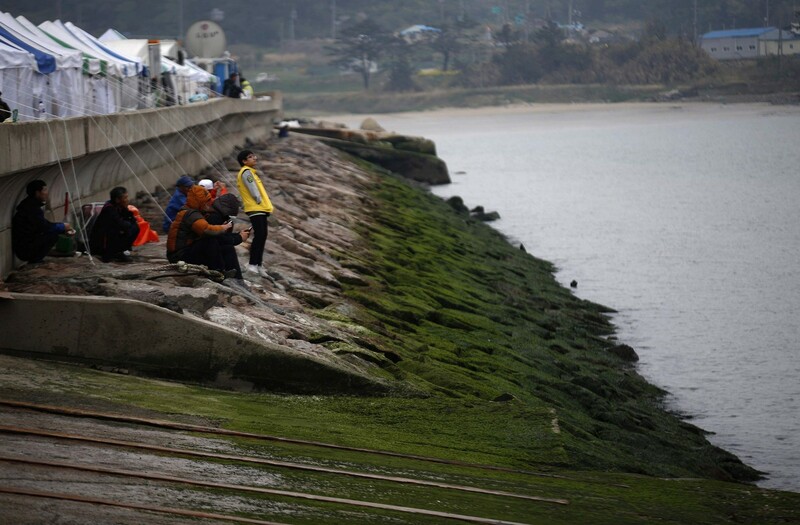 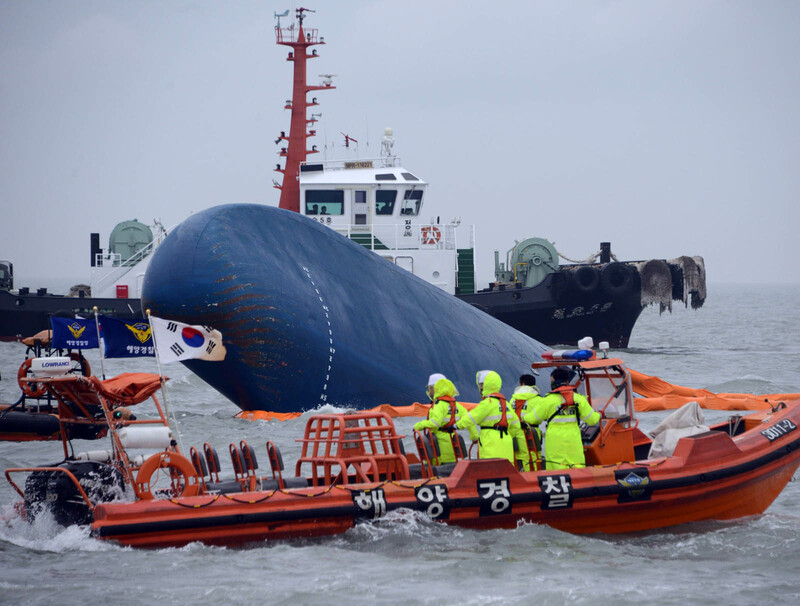 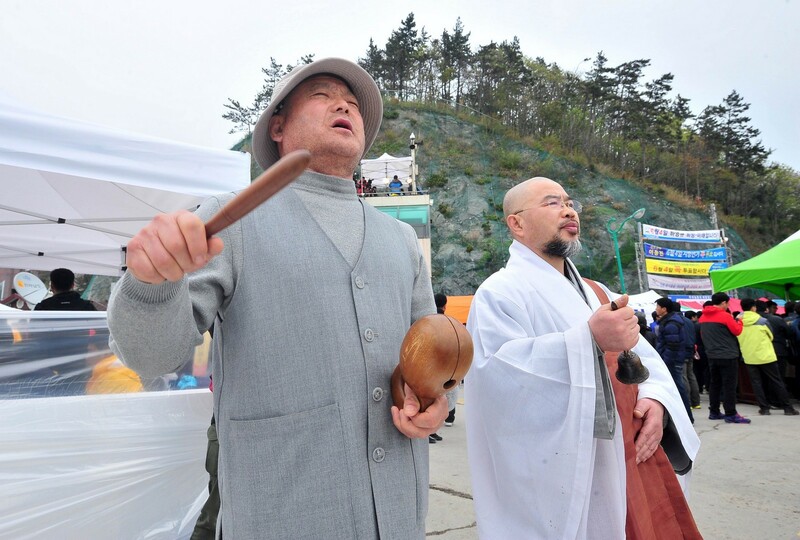 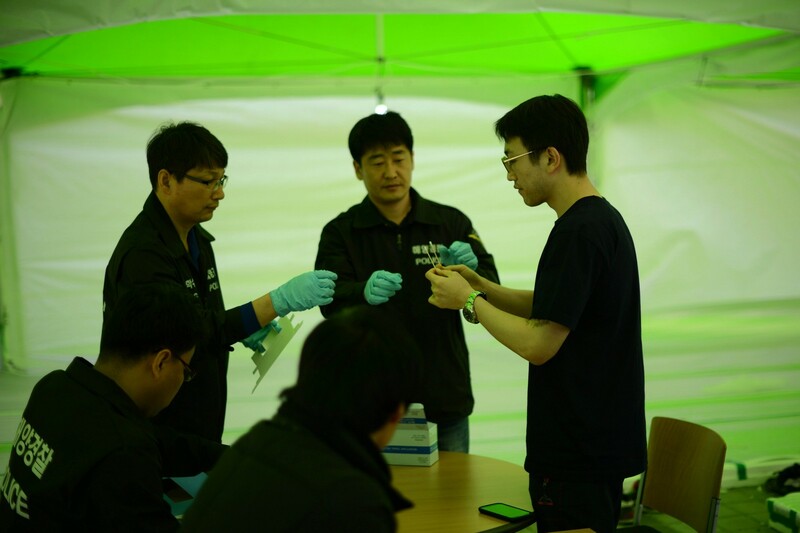 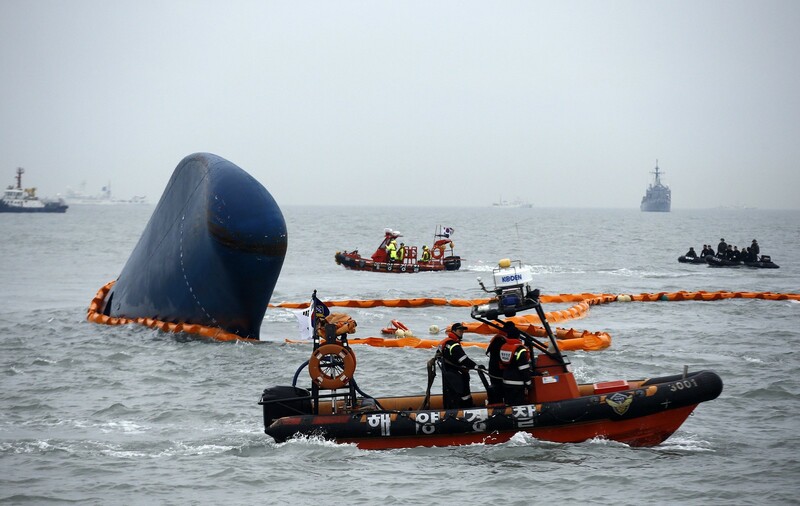 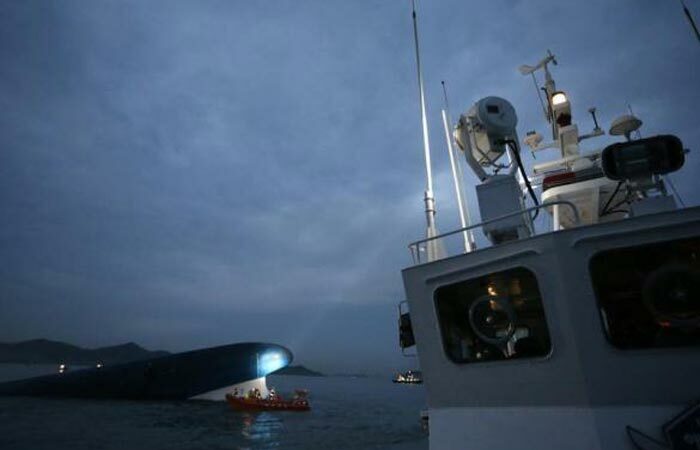 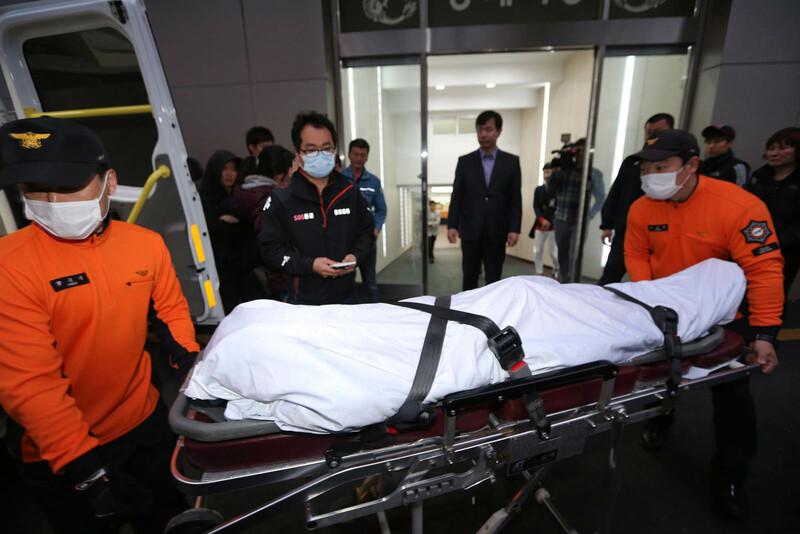 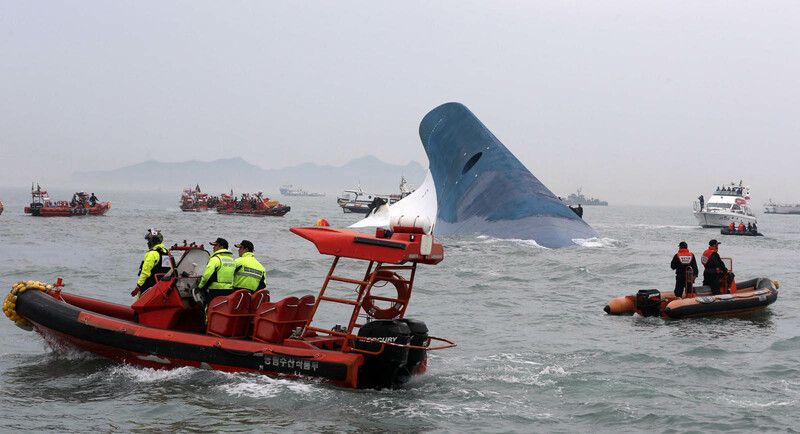 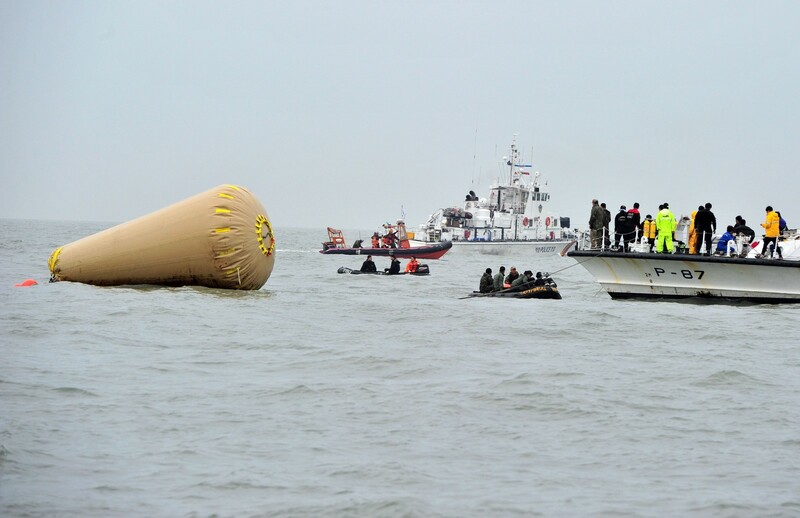 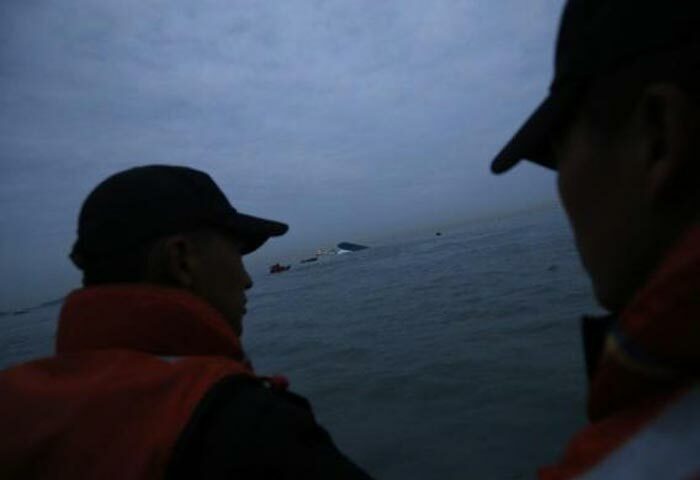 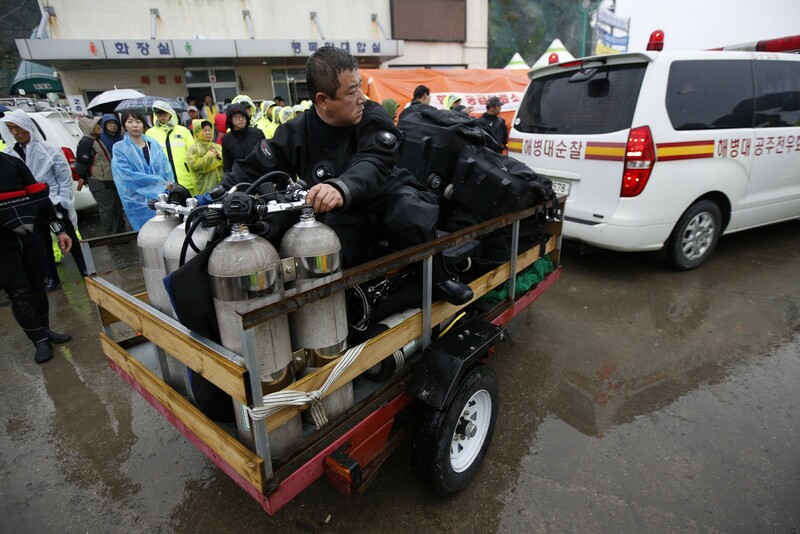 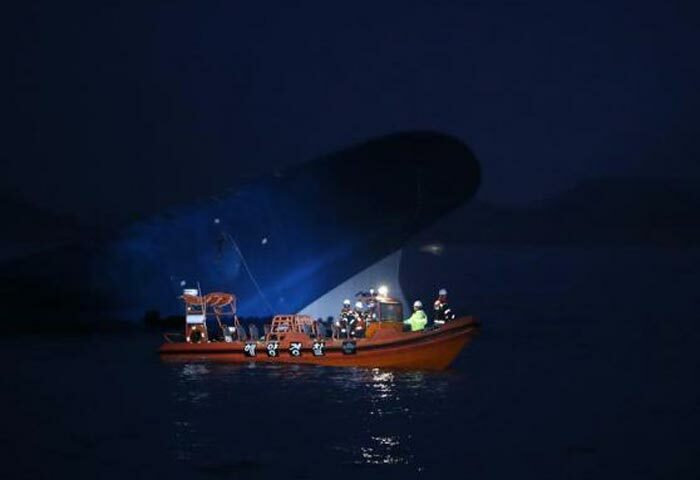 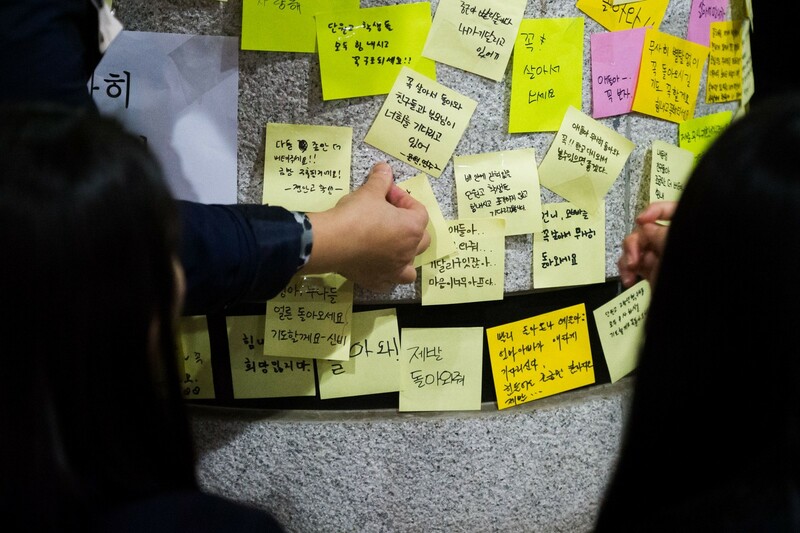 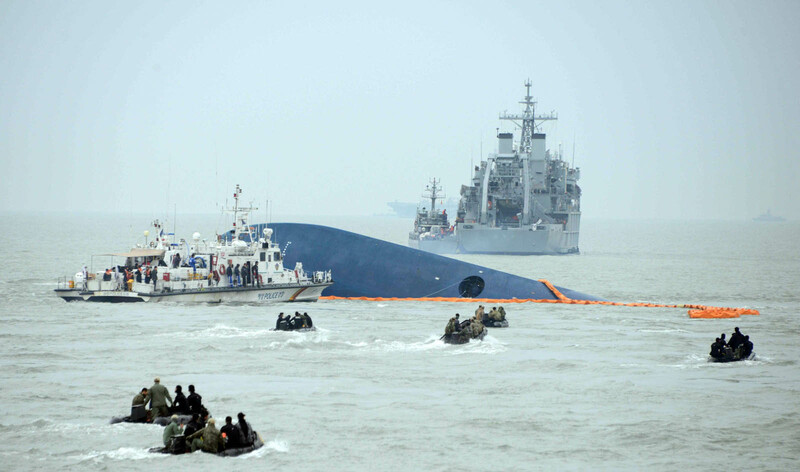 Police said late Thursday that all messages claiming to have been sent from the sunken ferry Sewol after it went down at noon on Wednesday appear fabricated. 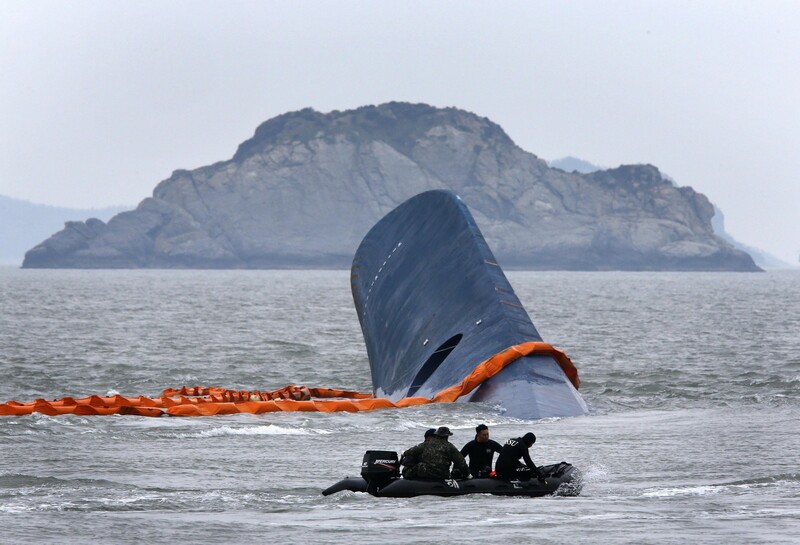 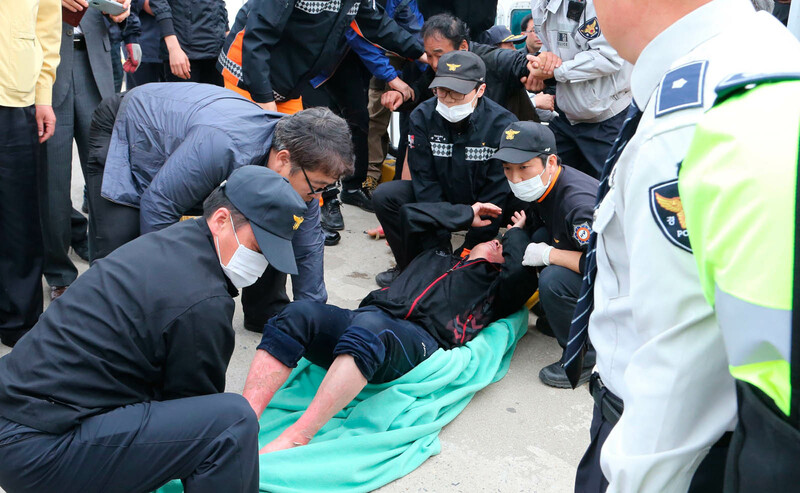 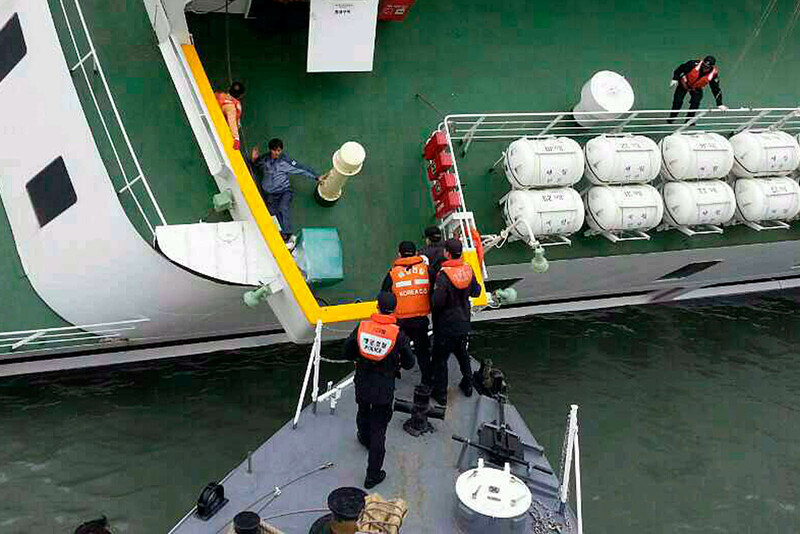 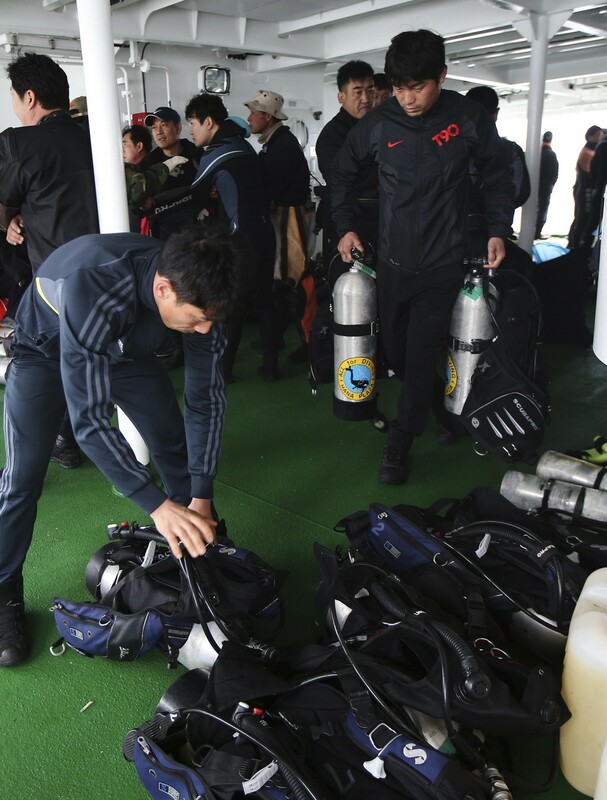 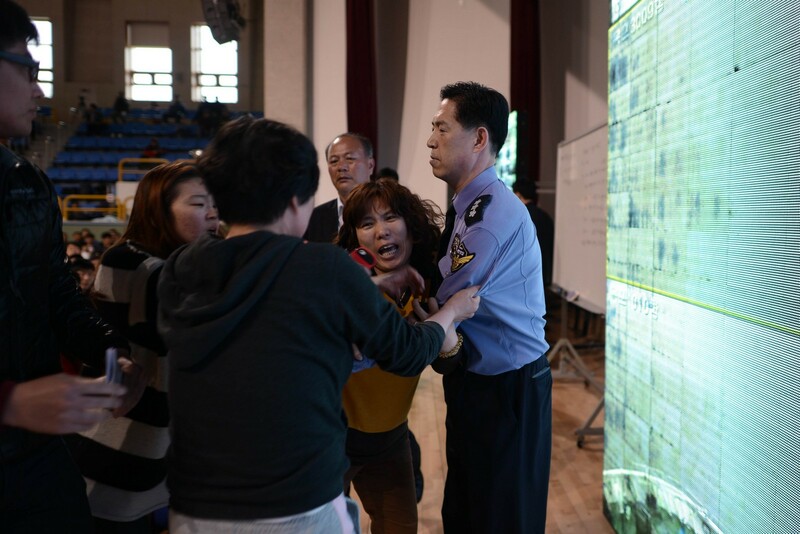 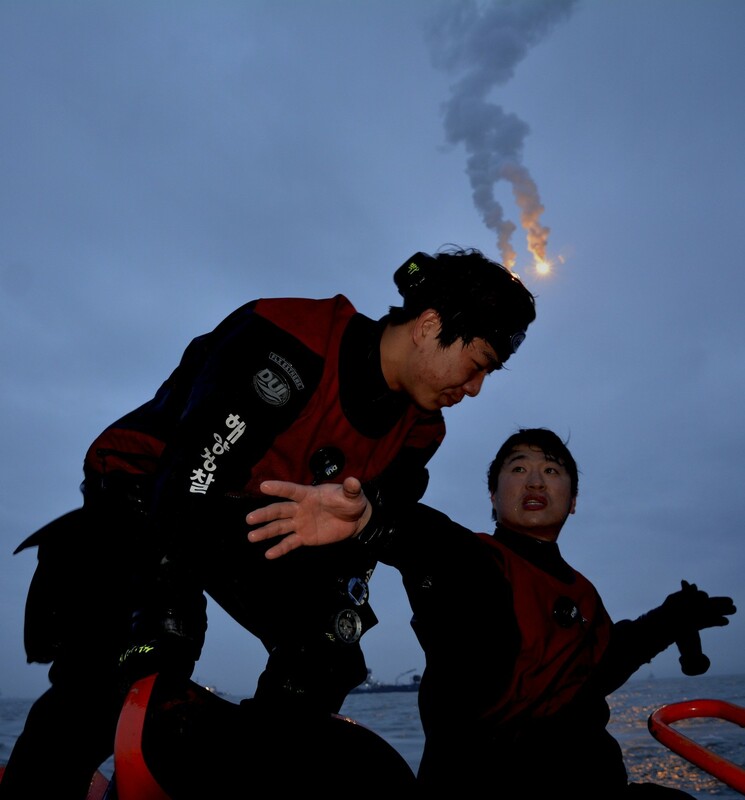 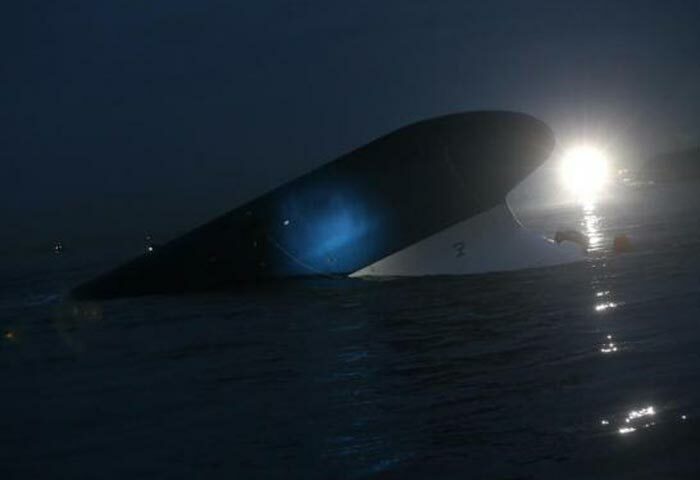 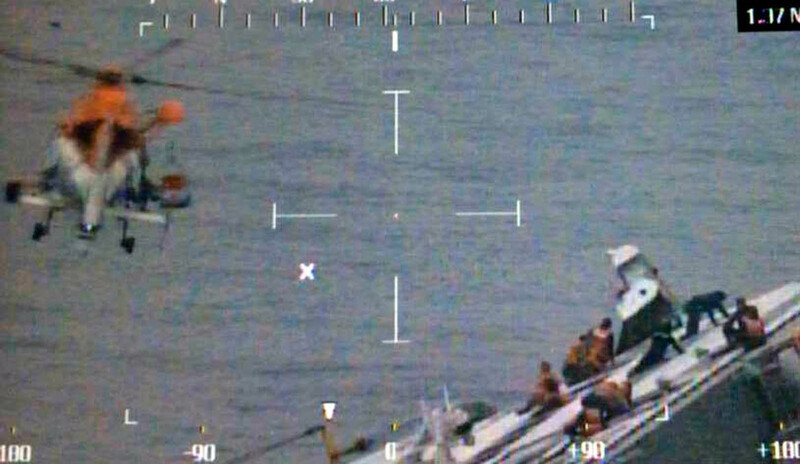 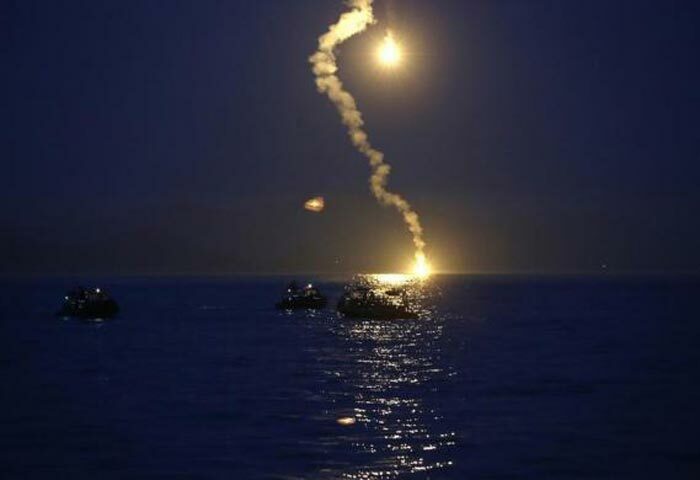 Police did not comment on the messages reported to have been sent in the morning when the ship was still sinking, many of which were disclosed by relatives and contain video and photos of the boat sinking. 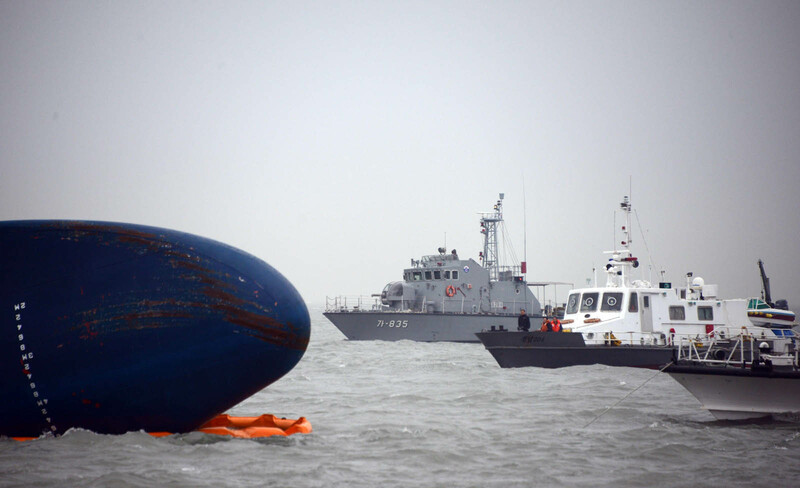 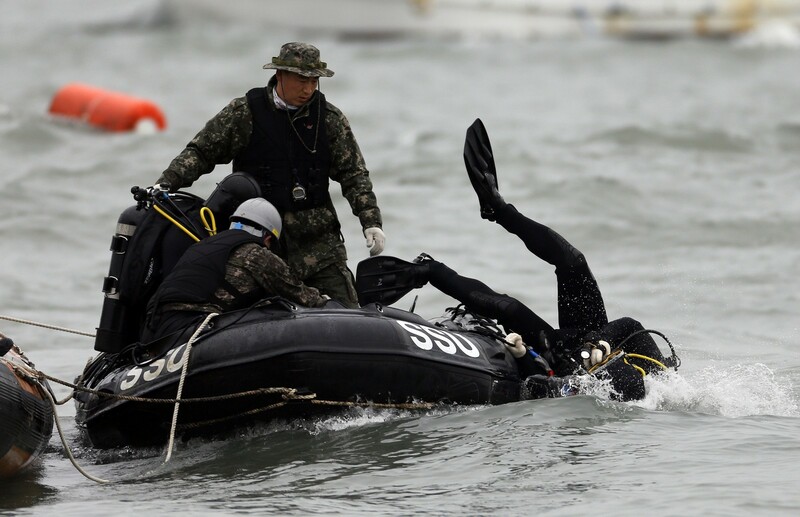 Investigators secured cellphone numbers of some 271 people that are still missing from Wednesday's fatal sinking and analysed the records, according to the Cyber Terror Response Center of the National Police Agency. 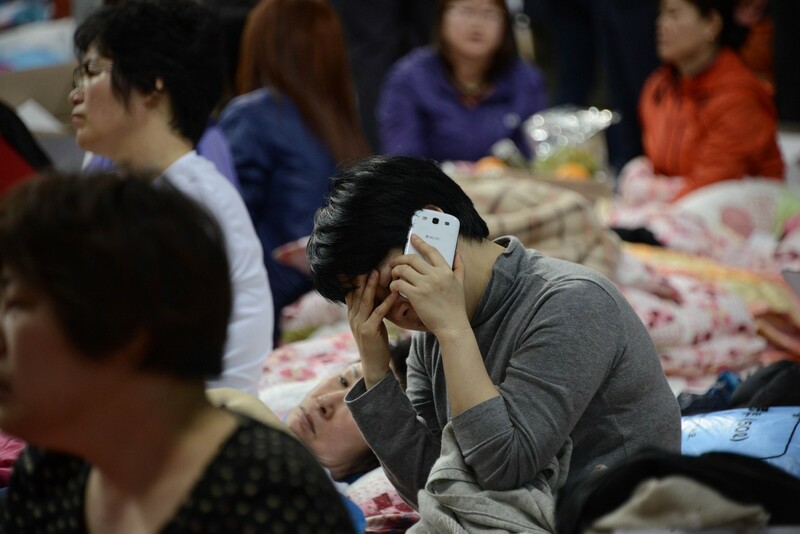 They found that none of the phones had been used since noon on the day of the accident. 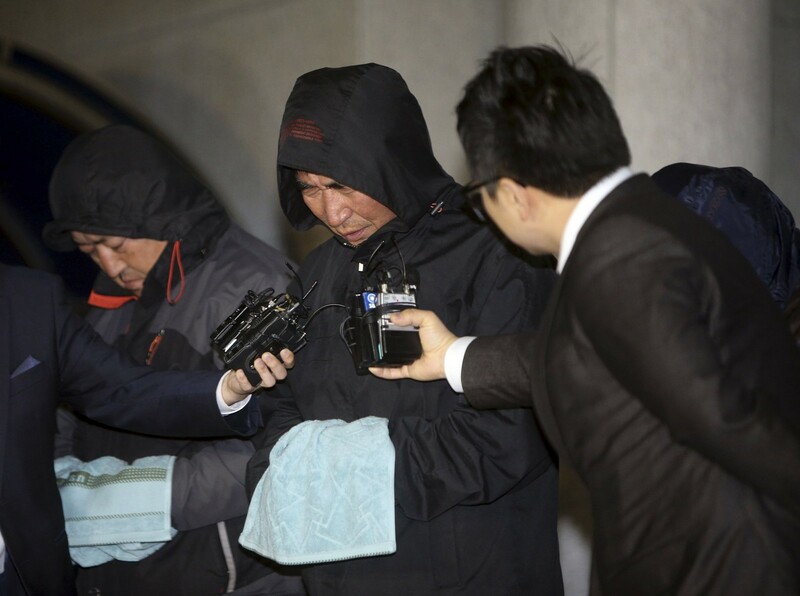 Police analysed the phone calls, text and other messages possibly sent from mobile messengers. 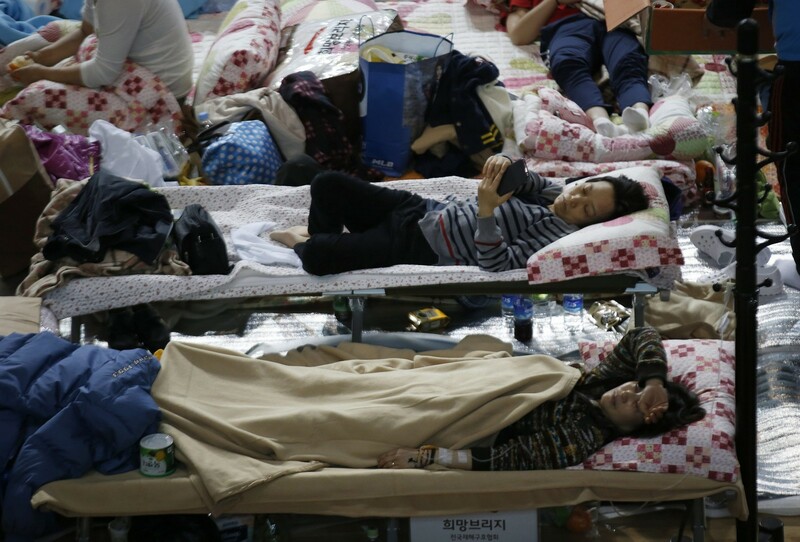 "We've checked over 300 phones, since some people owned more than one phone." 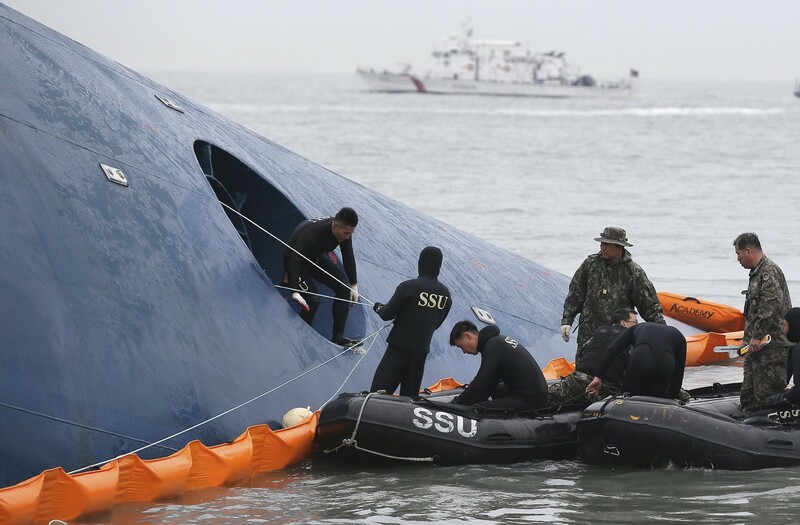 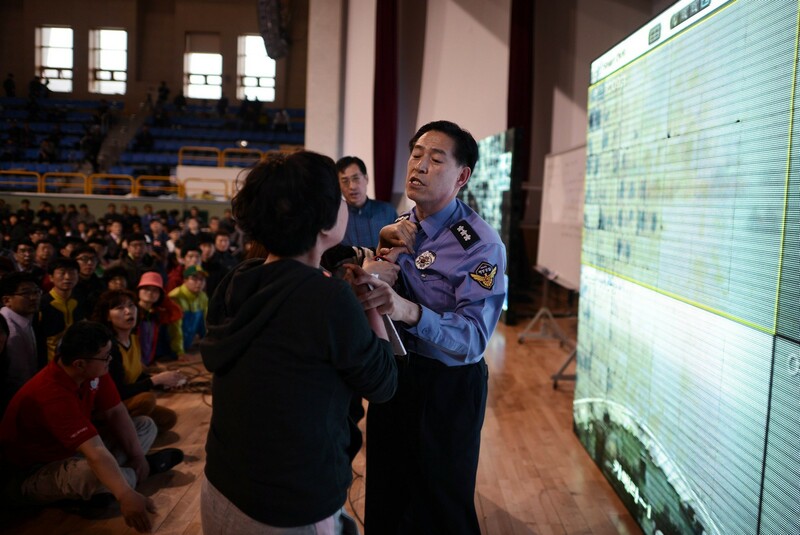 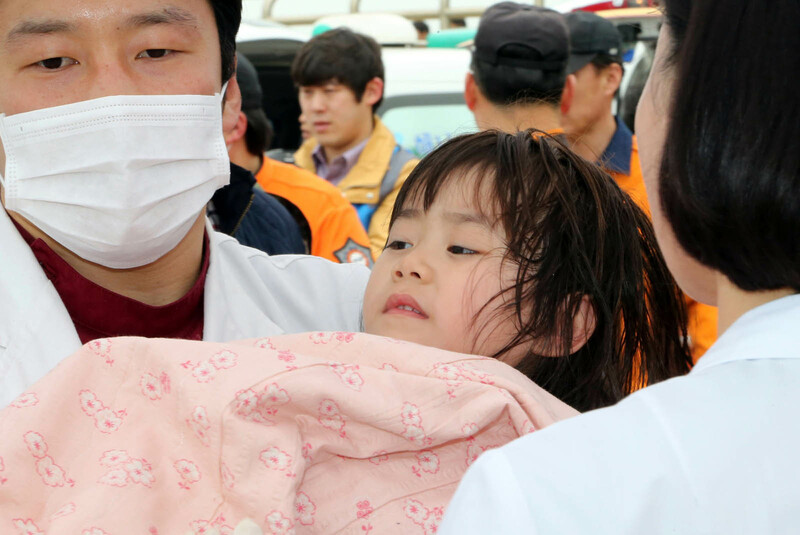 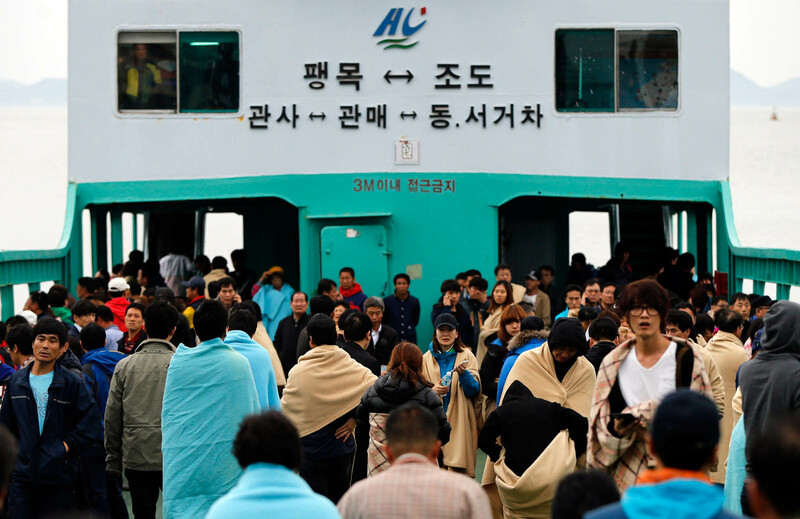 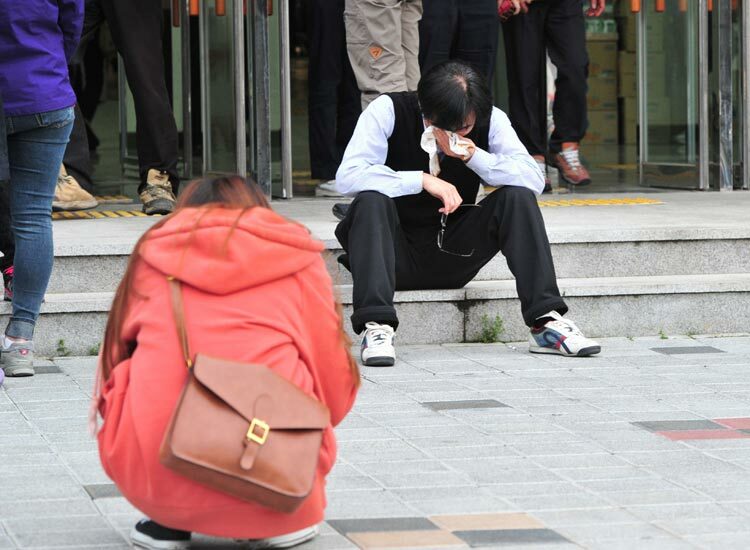 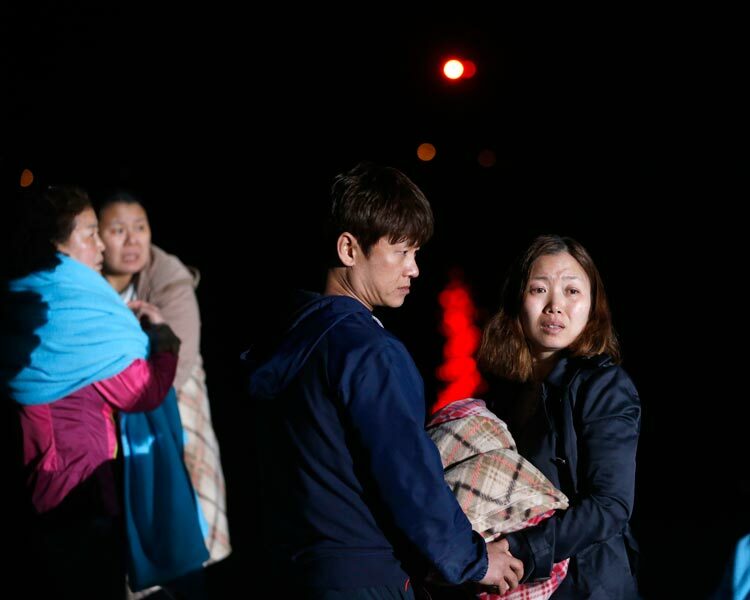 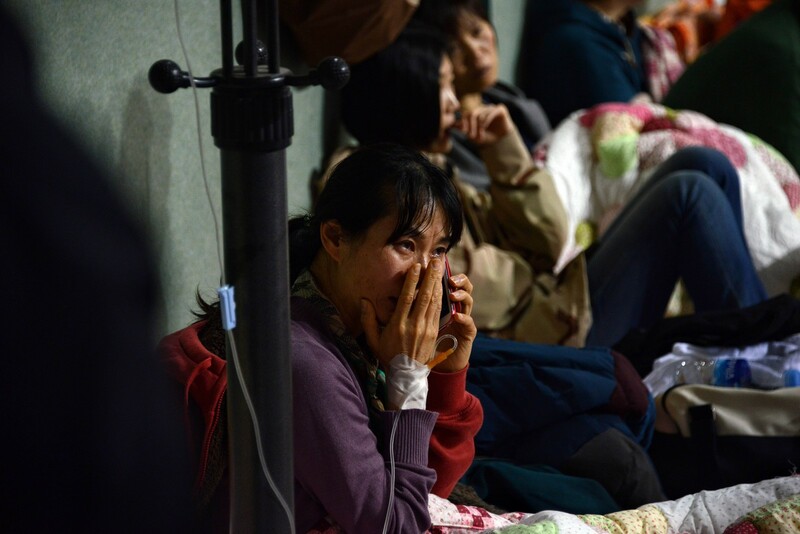 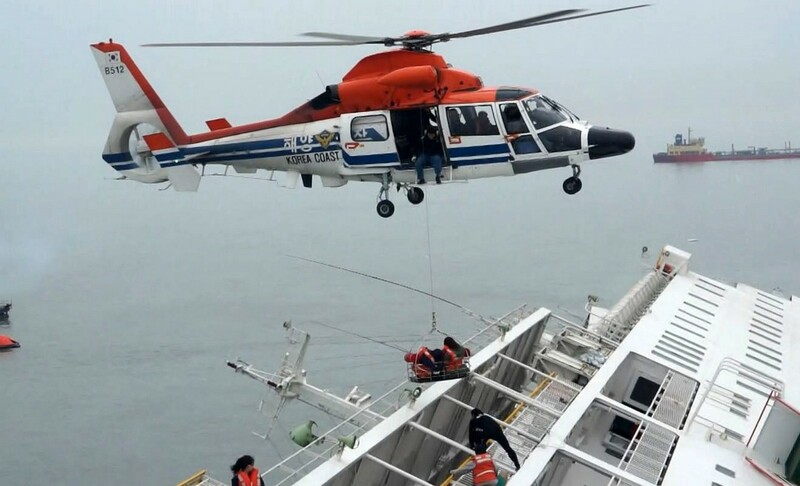 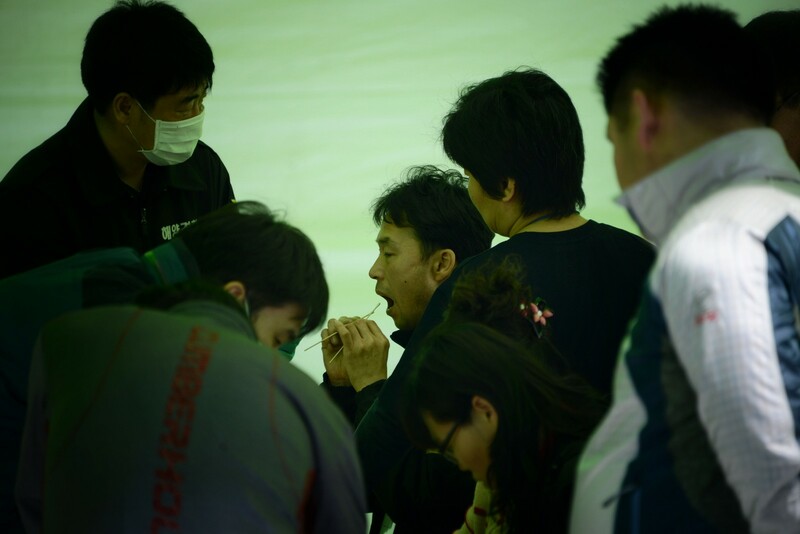 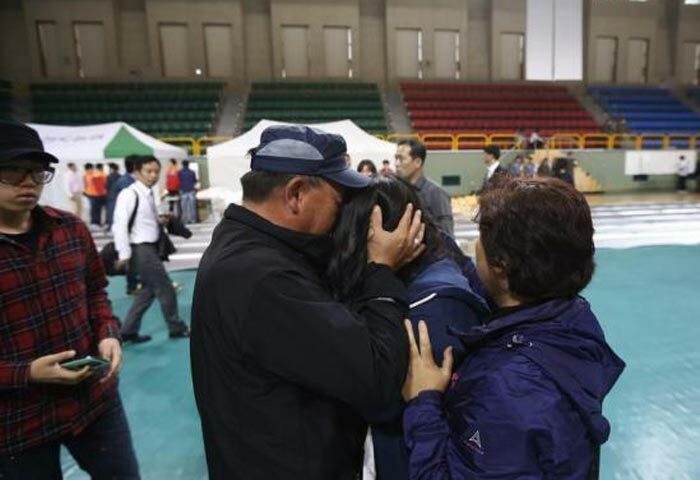 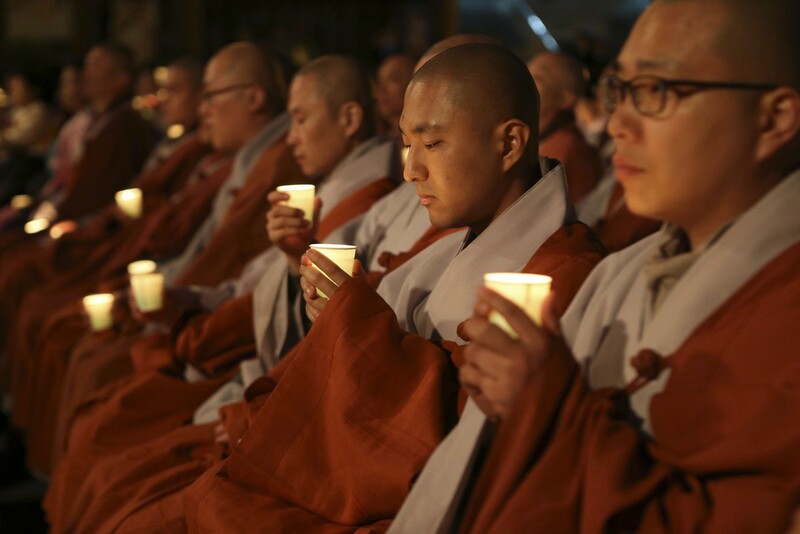 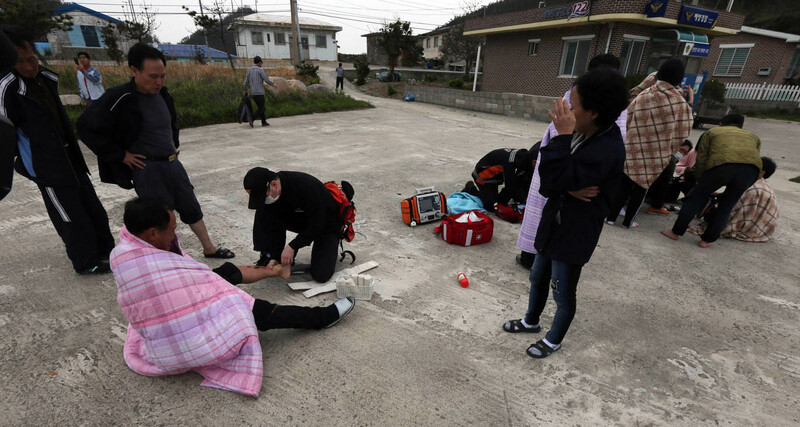 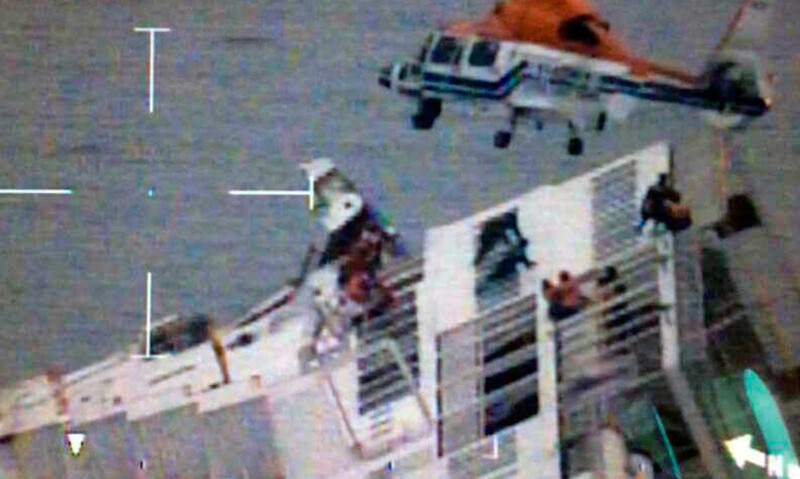 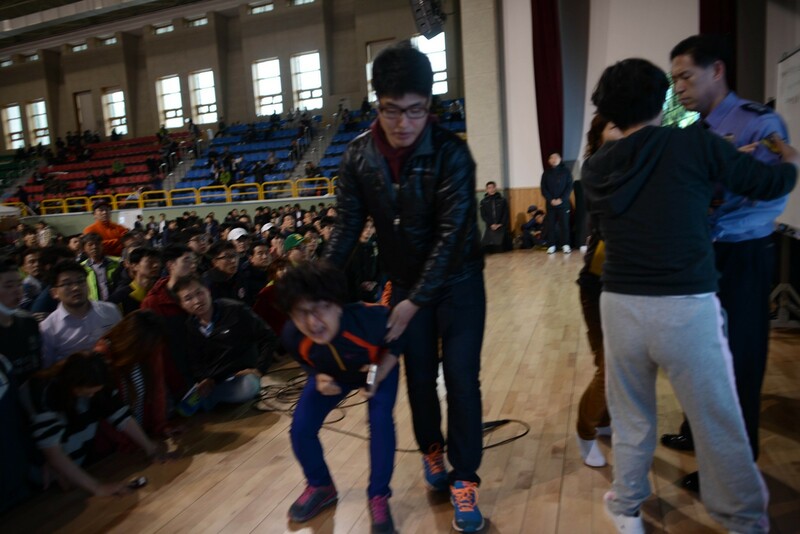 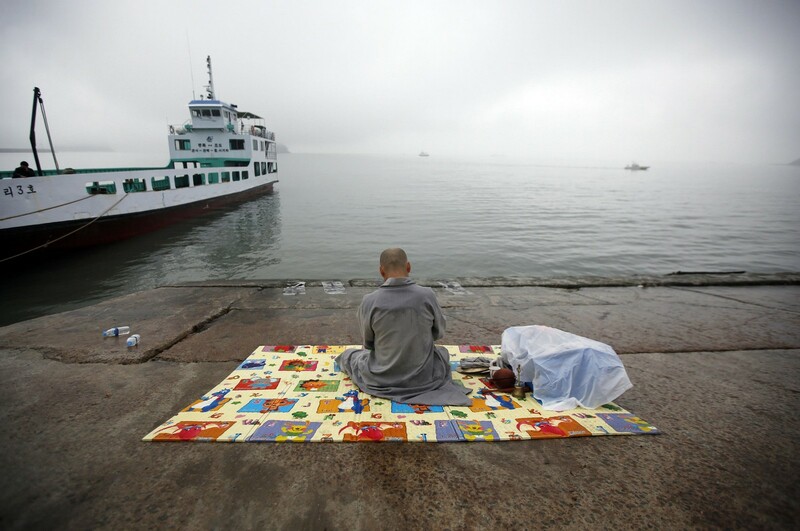 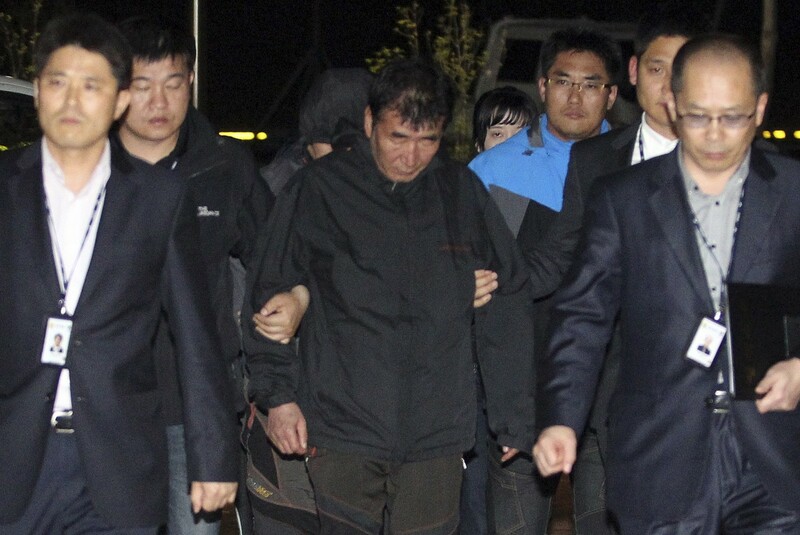 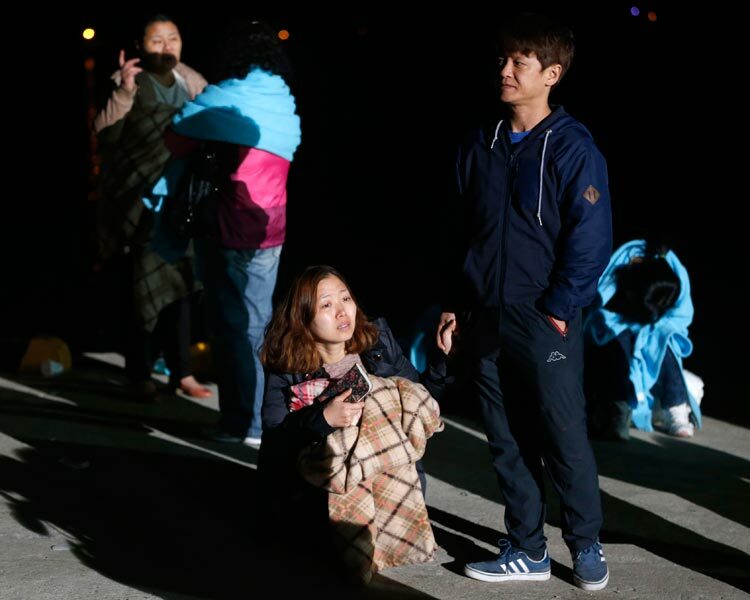 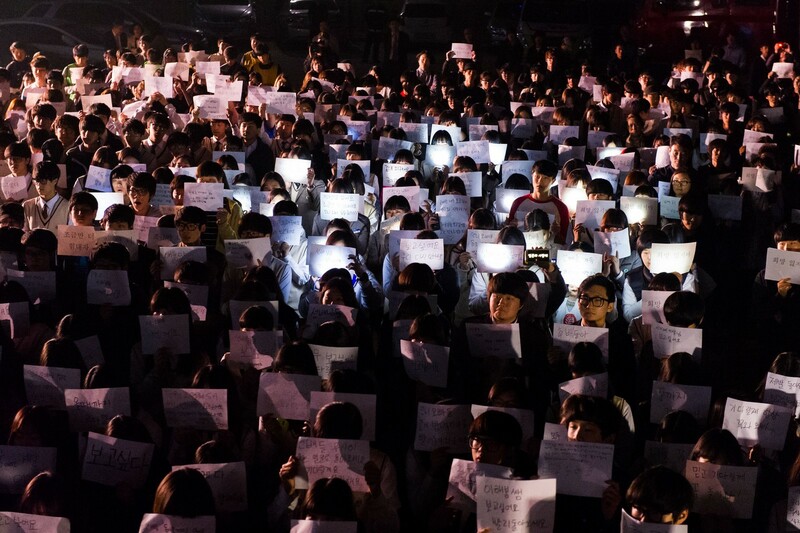 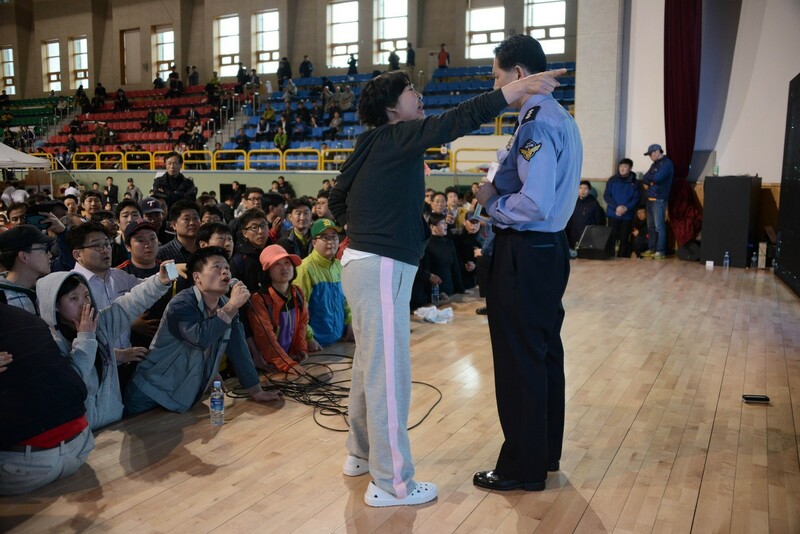 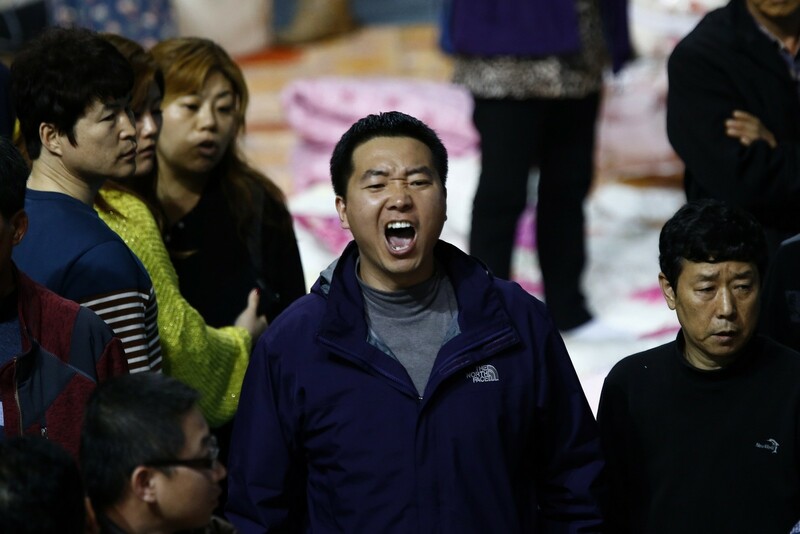 Hours after the ship's founder, people started claiming that they received messages from the survivors supposedly barricaded inside the doomed ferry, begging for help. 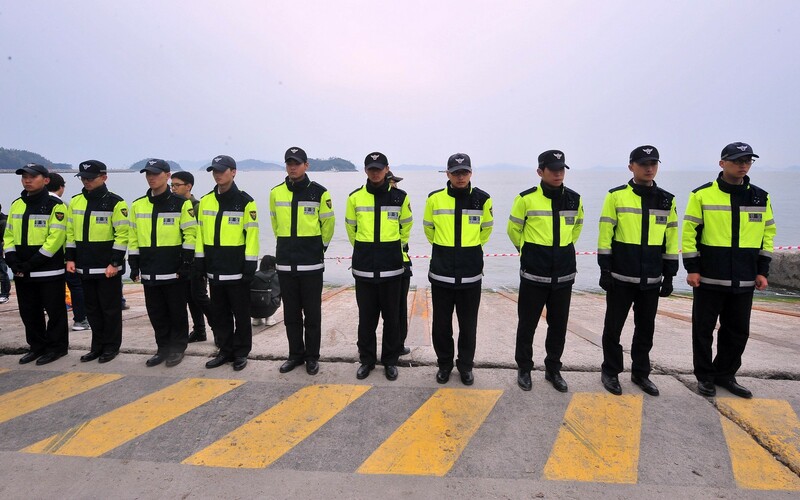 Police probe, however, found that none of them had been sent from the sunken ship. 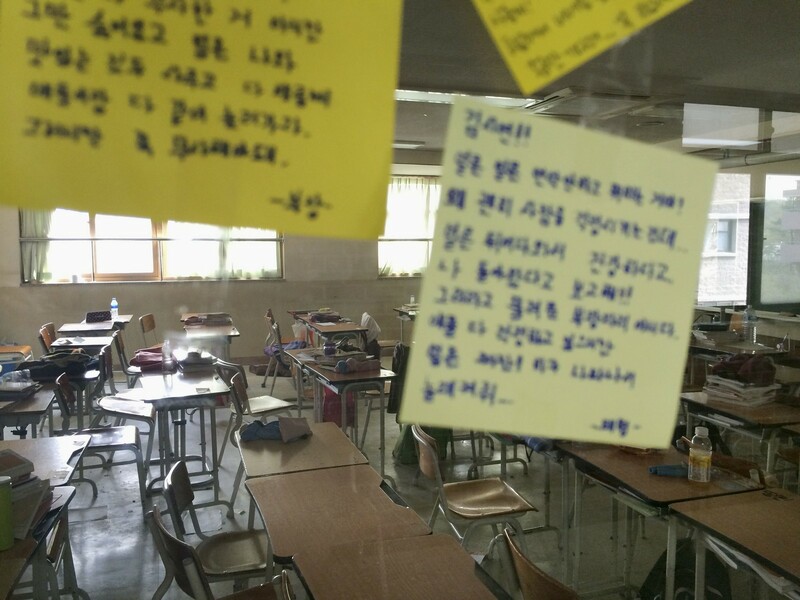 One of the fake messages was sent from a phone owned by a fifth grader in Gimpo, Gyeonggi Province. 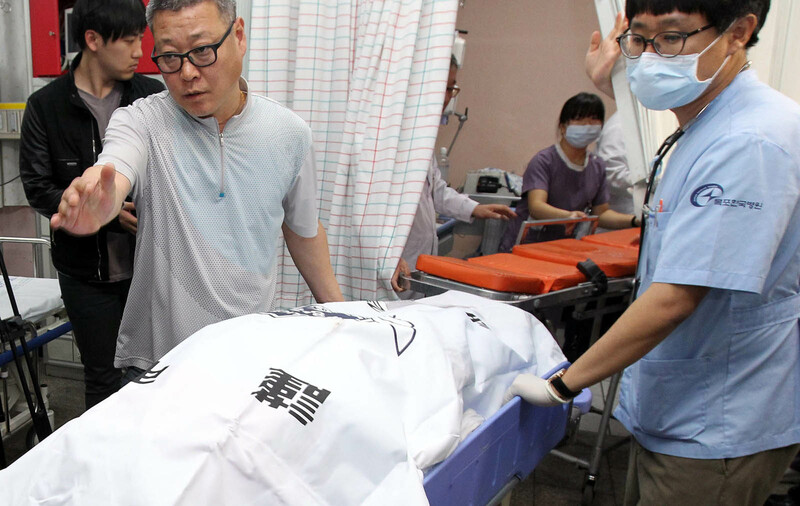 The Science Ministry cautioned against text message scams that used the tragic accident to lure victims. 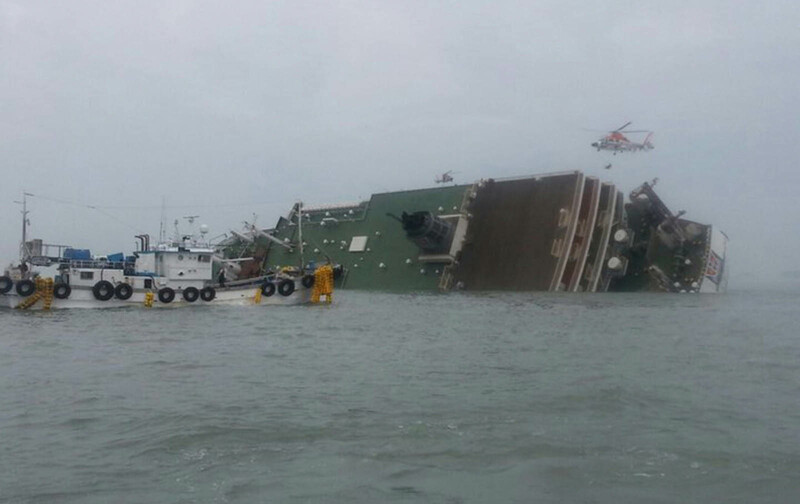 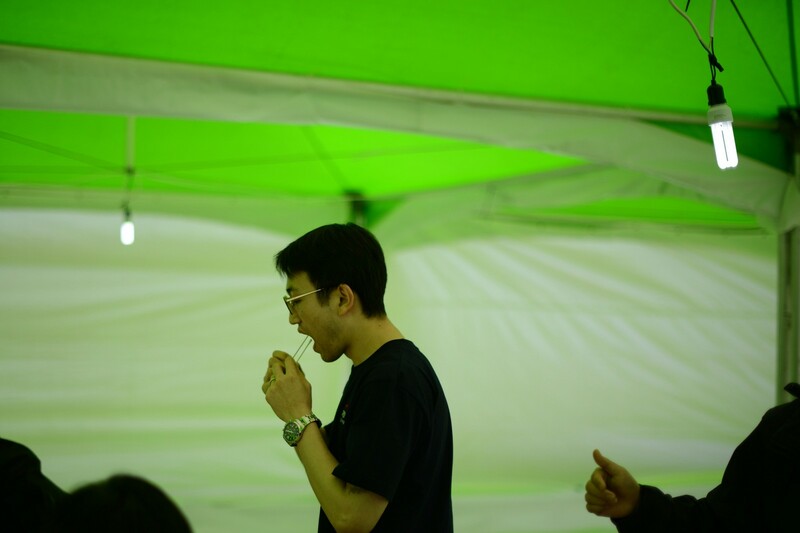 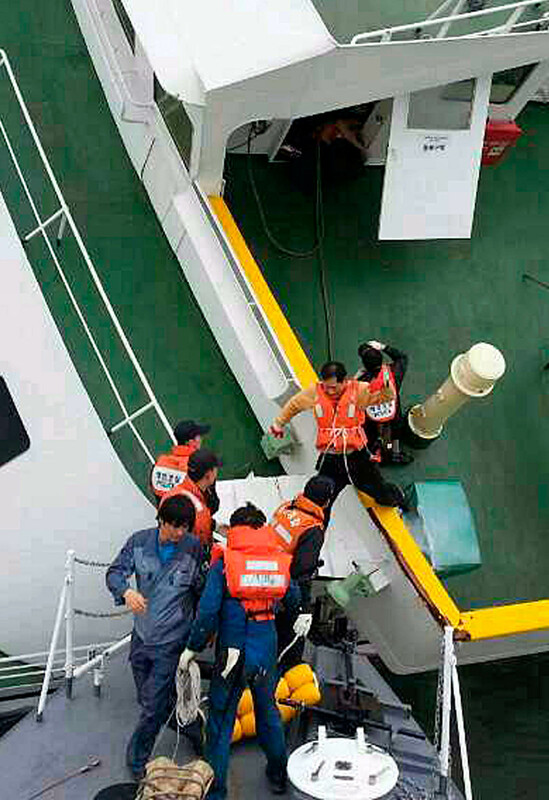 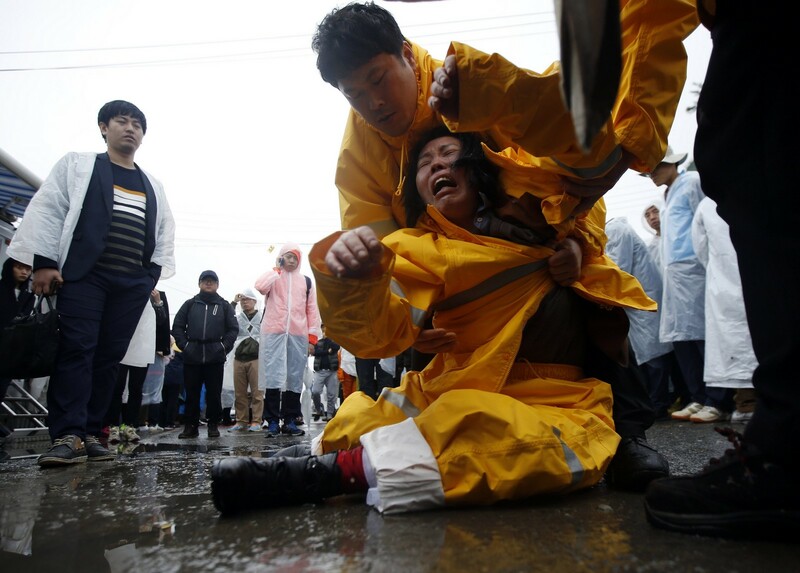 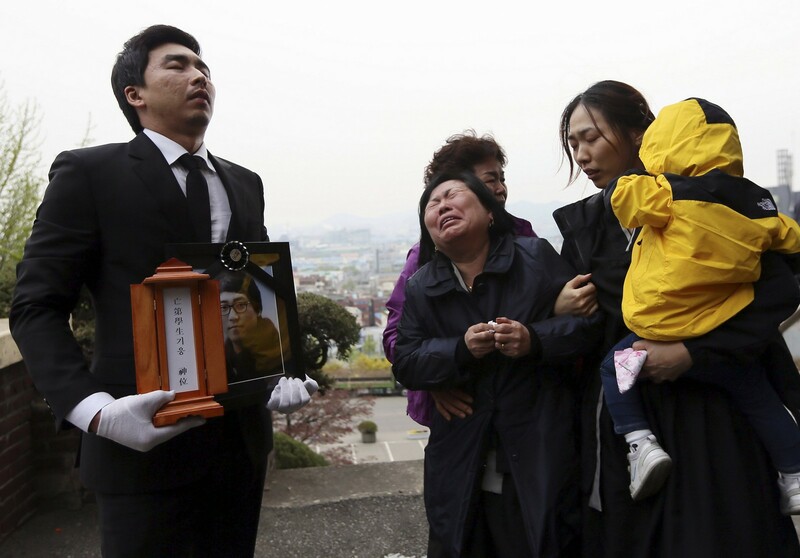 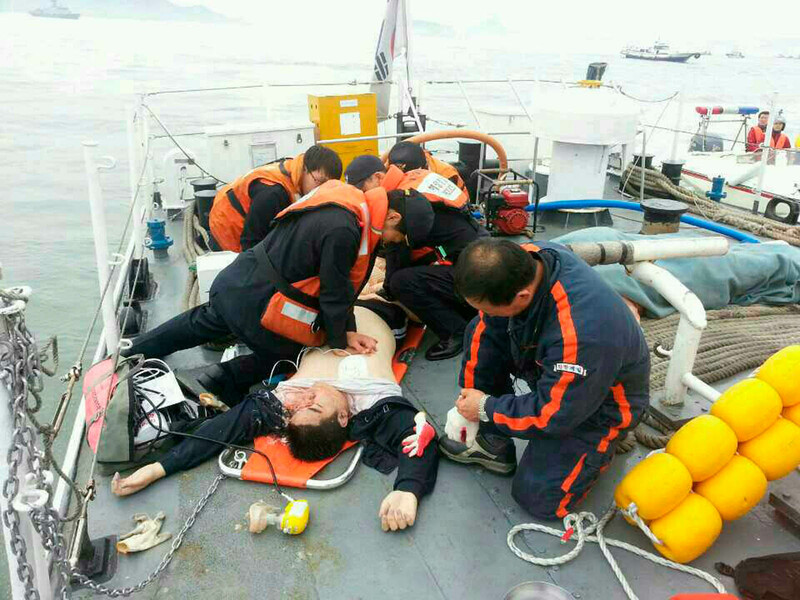 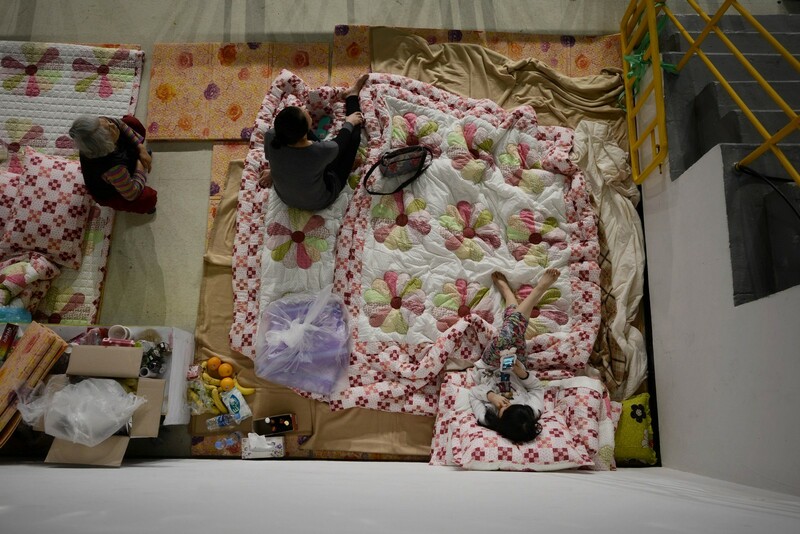 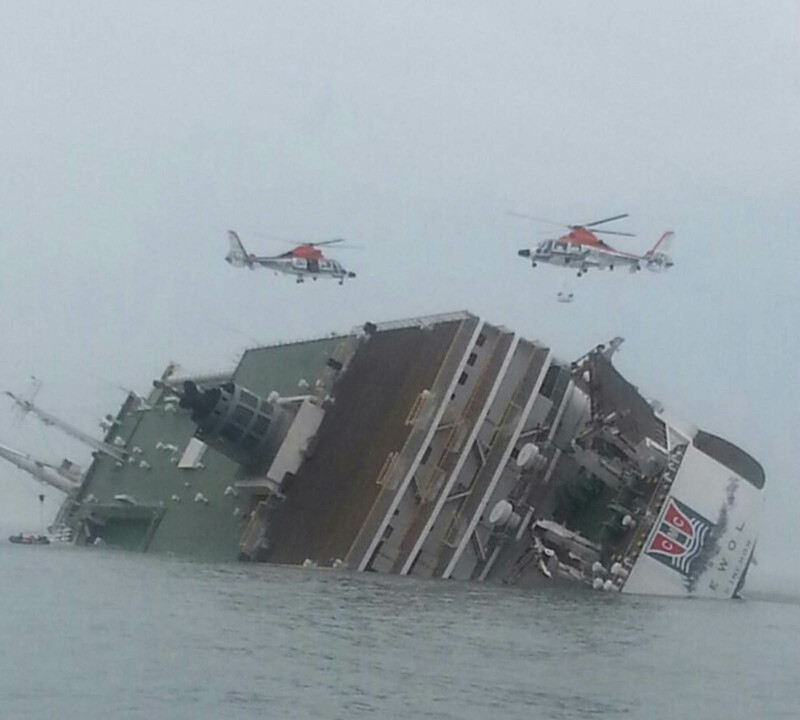 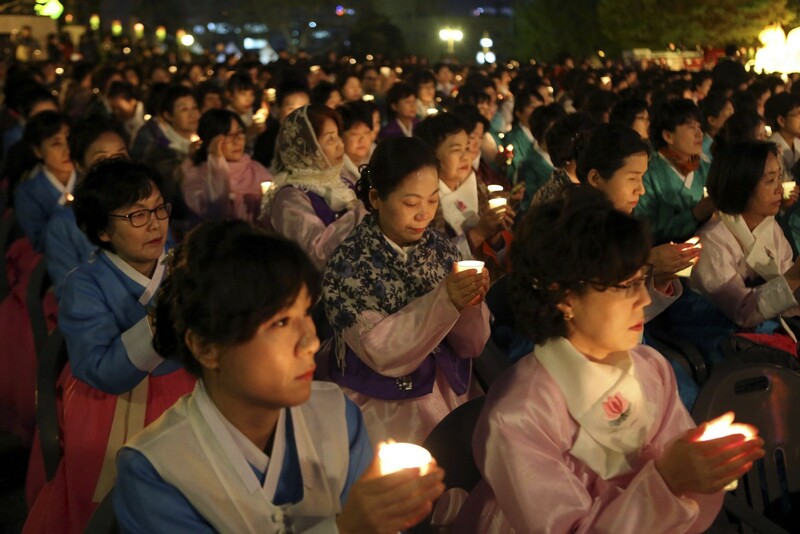 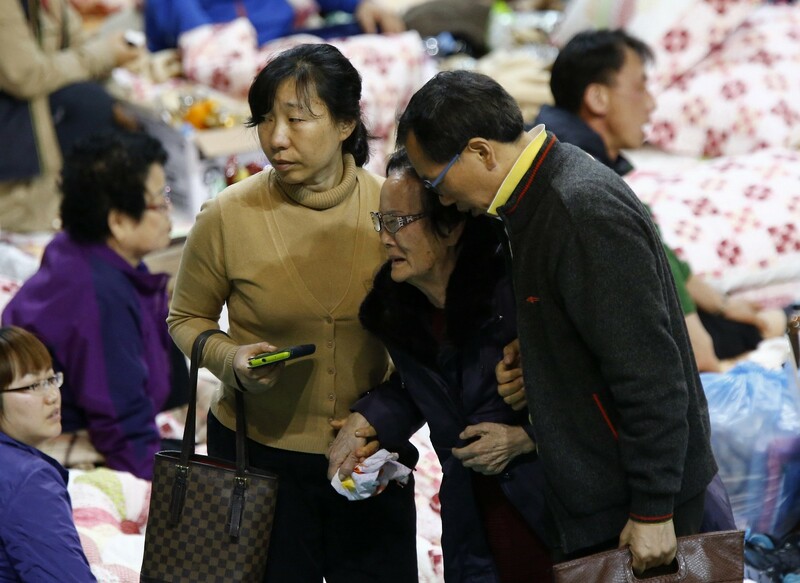 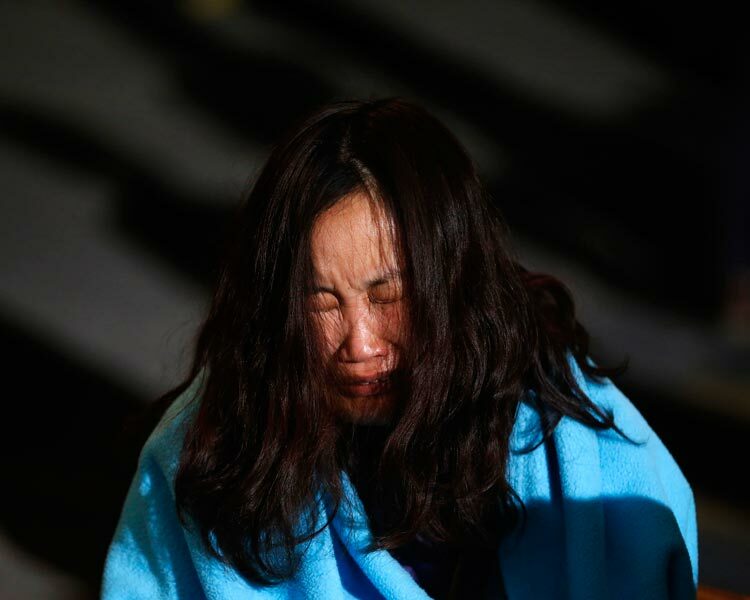 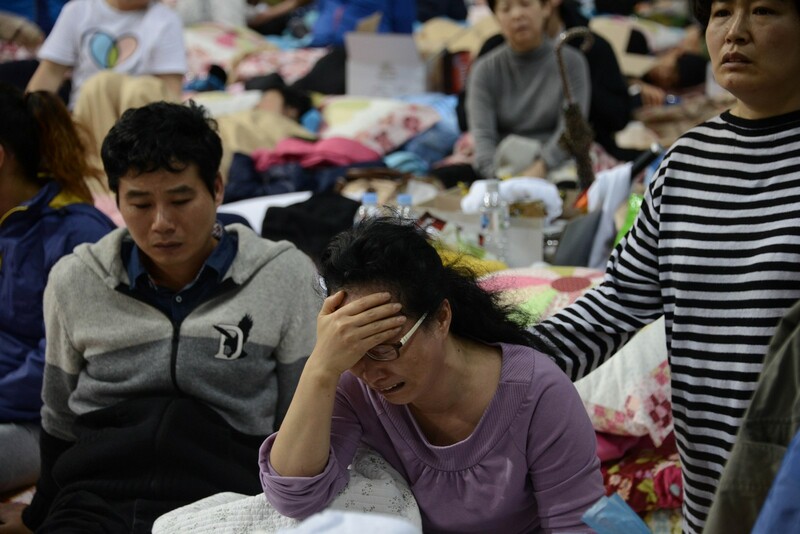 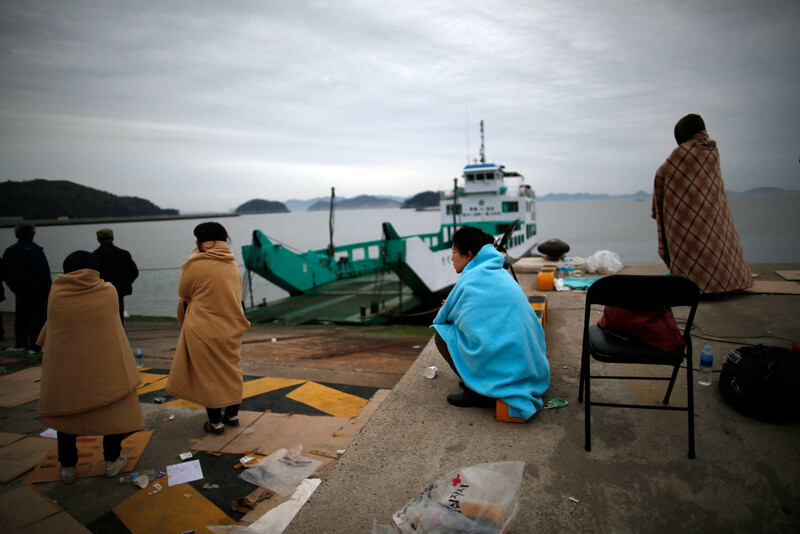 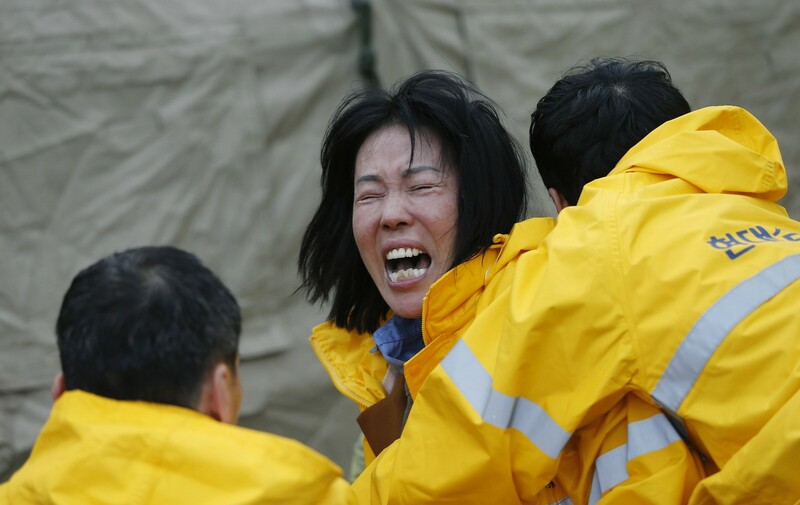 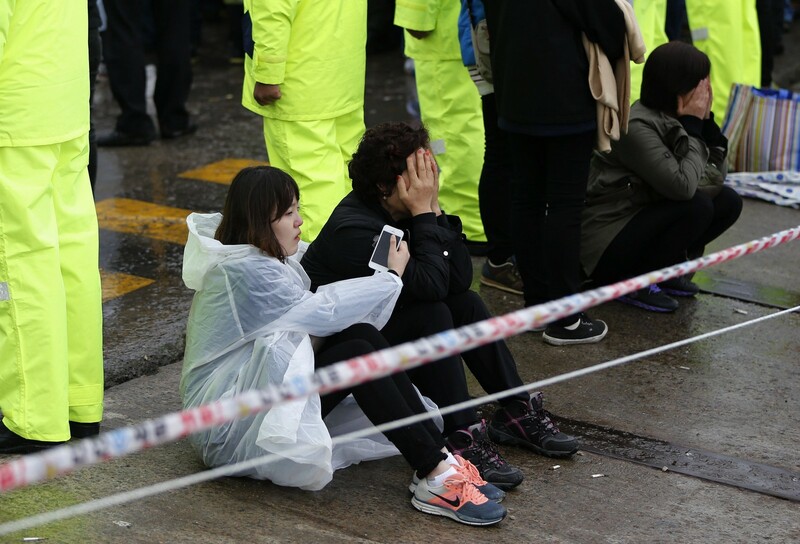 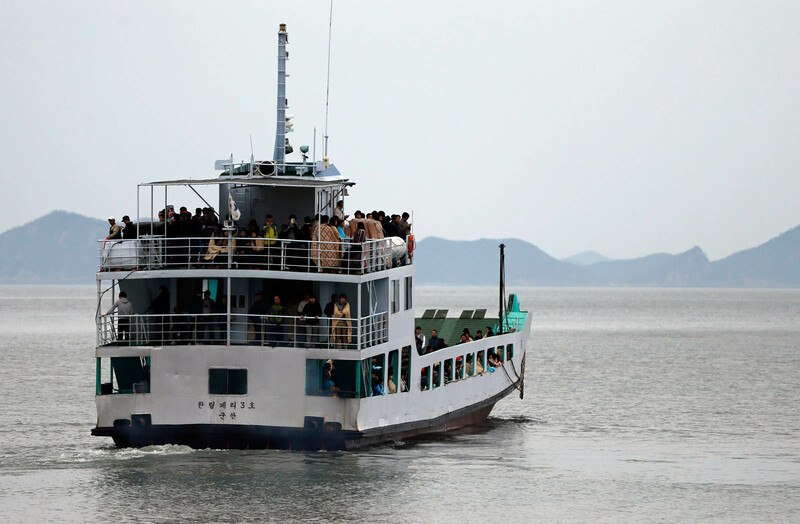 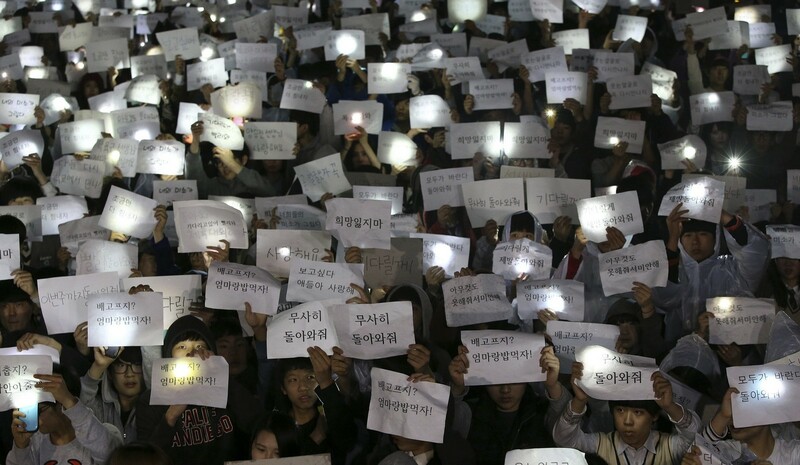 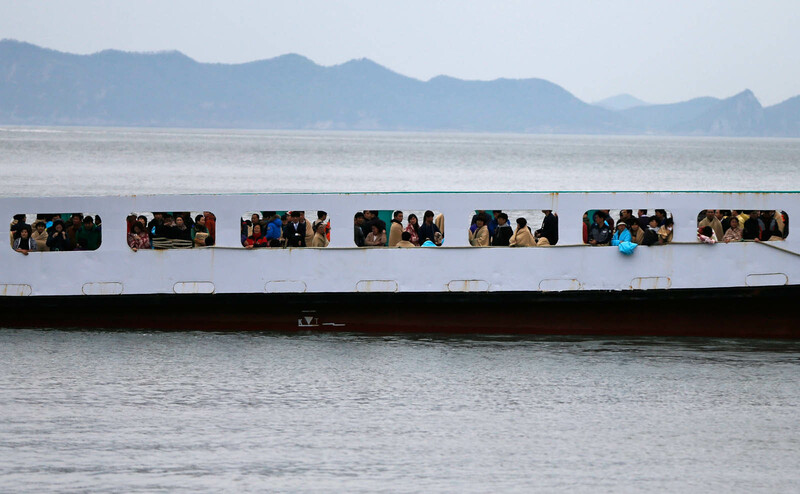 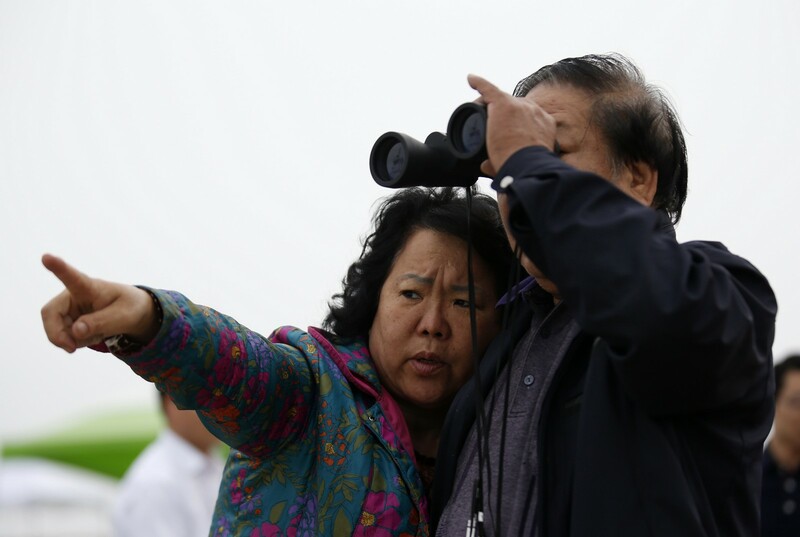 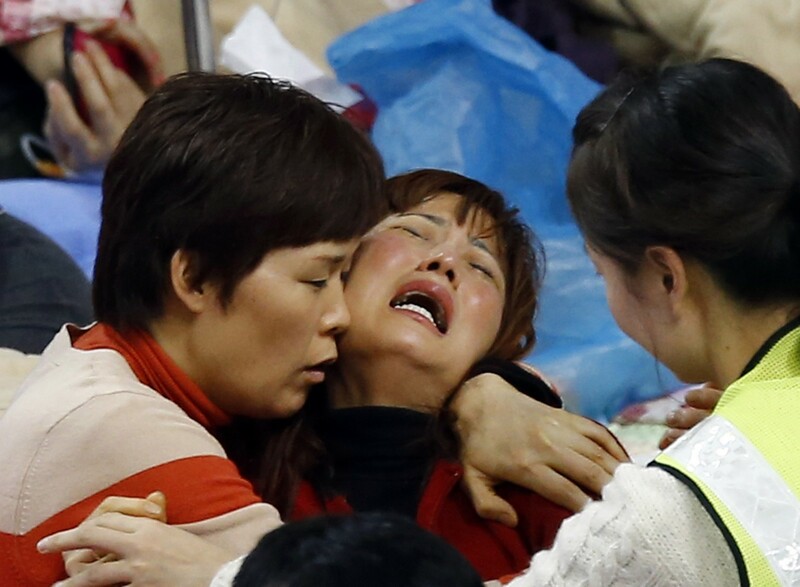 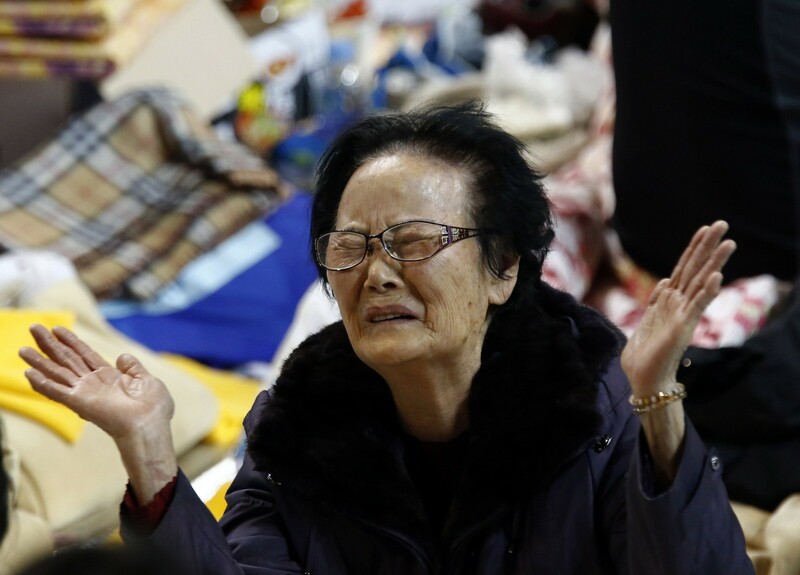 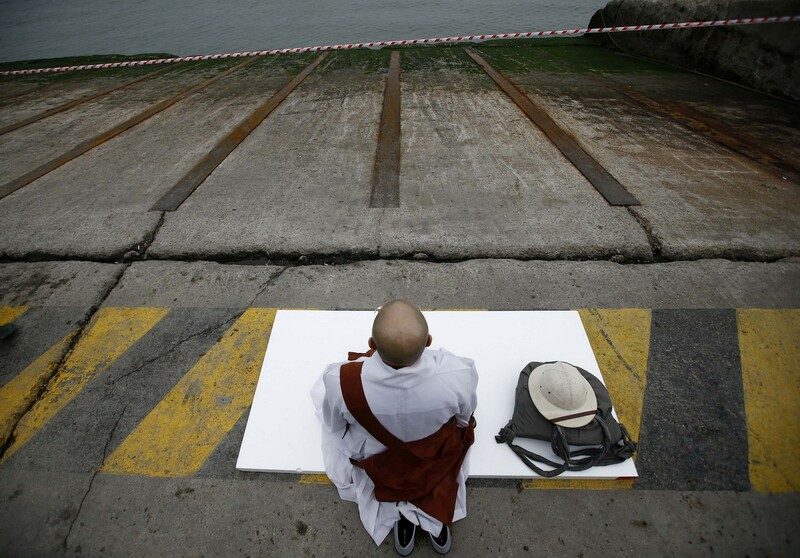 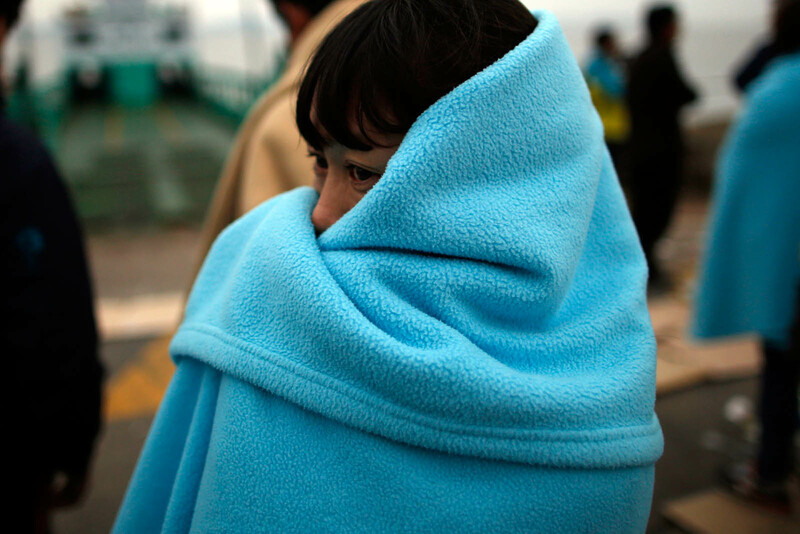 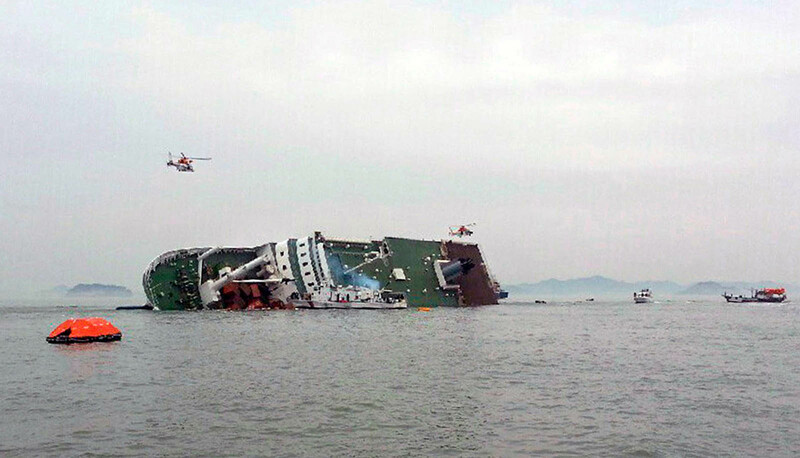 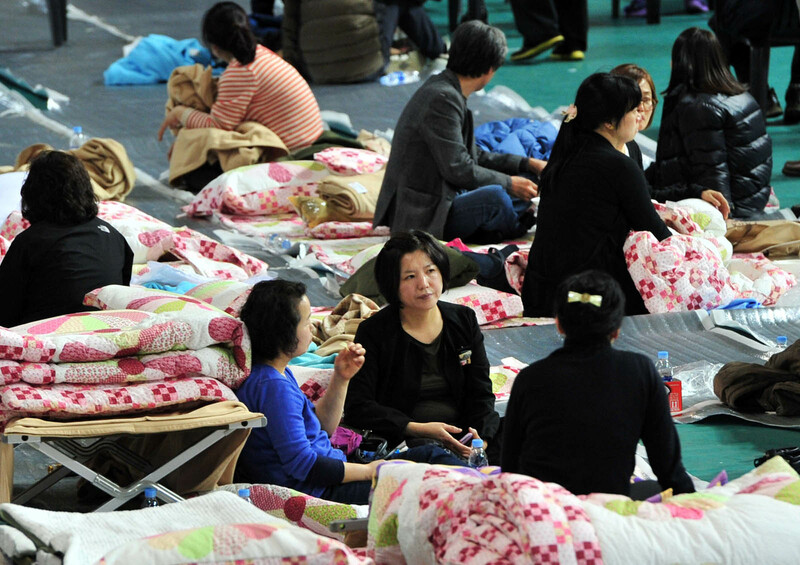 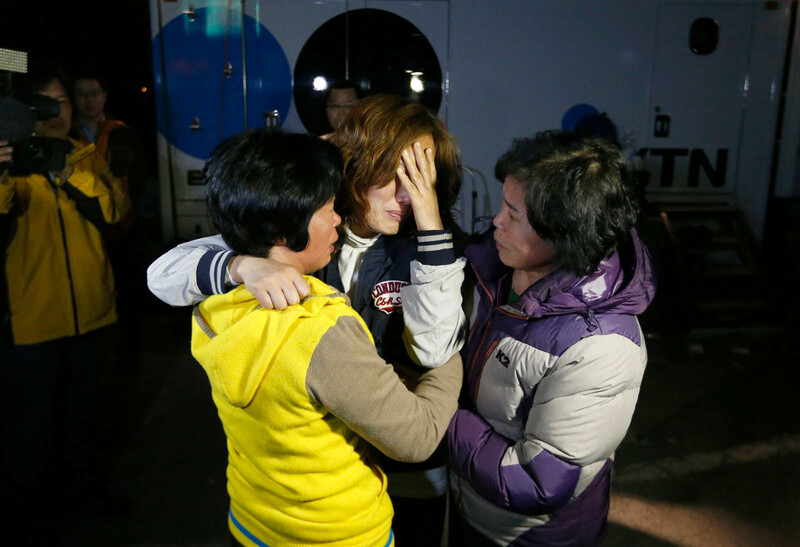 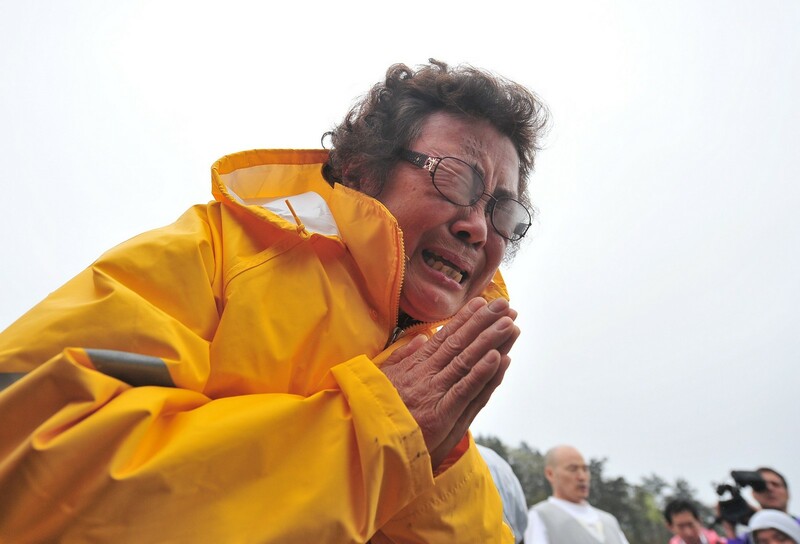 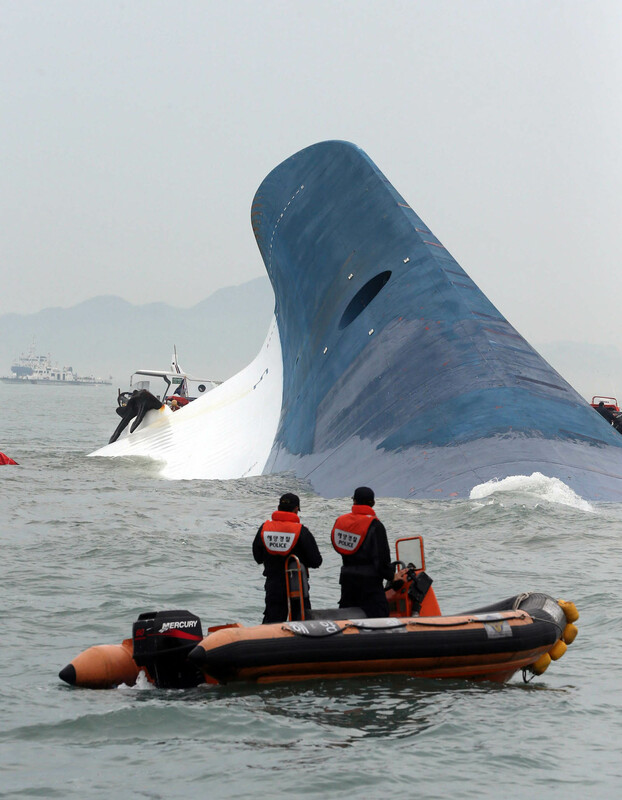 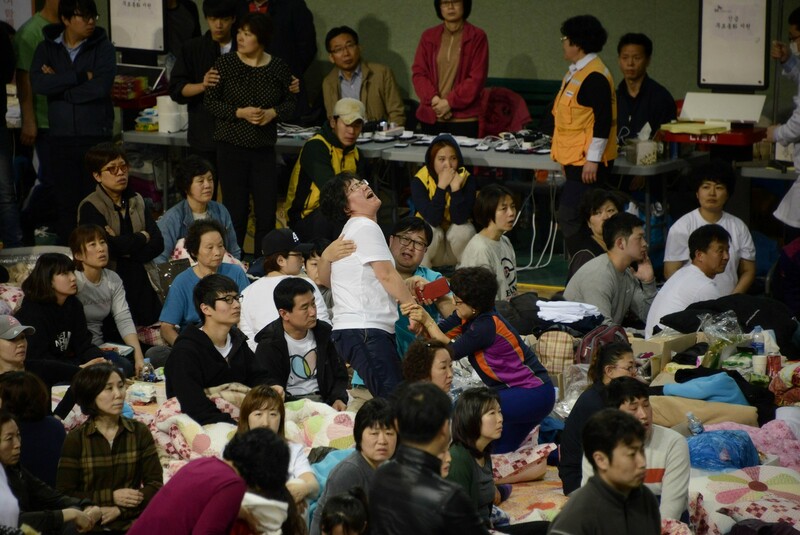 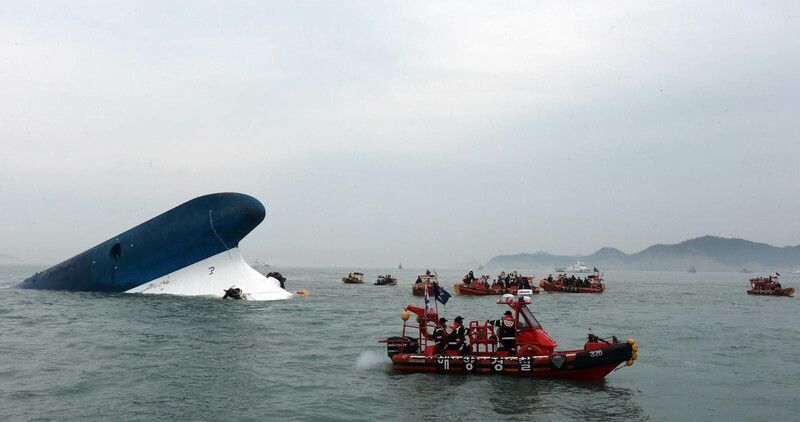 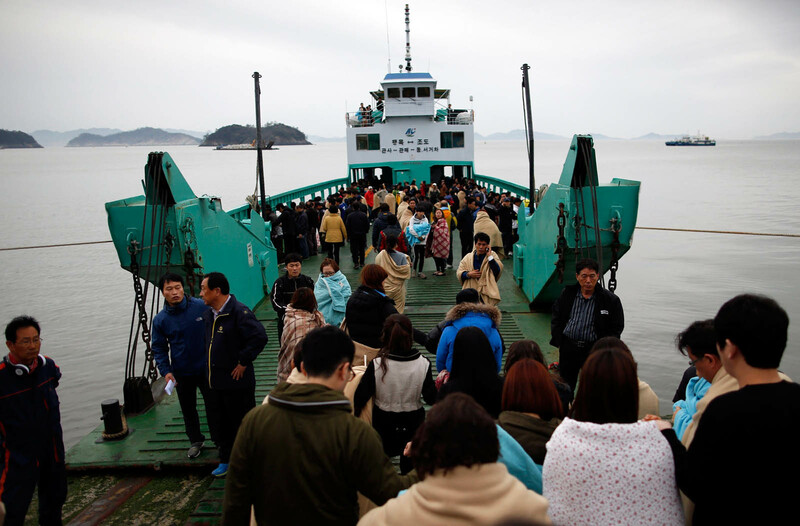 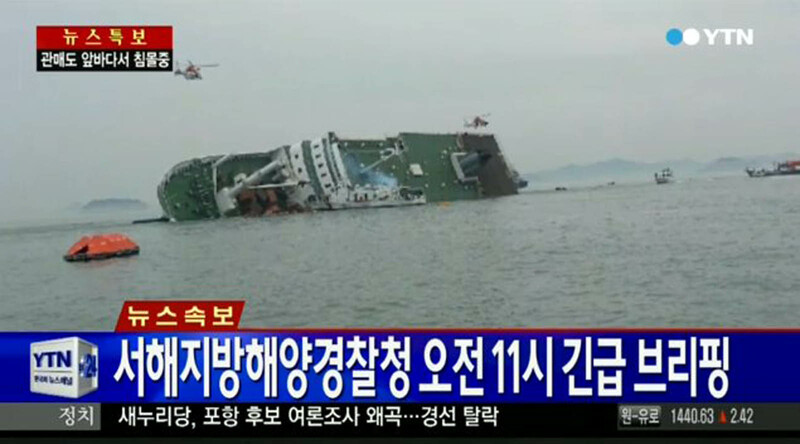 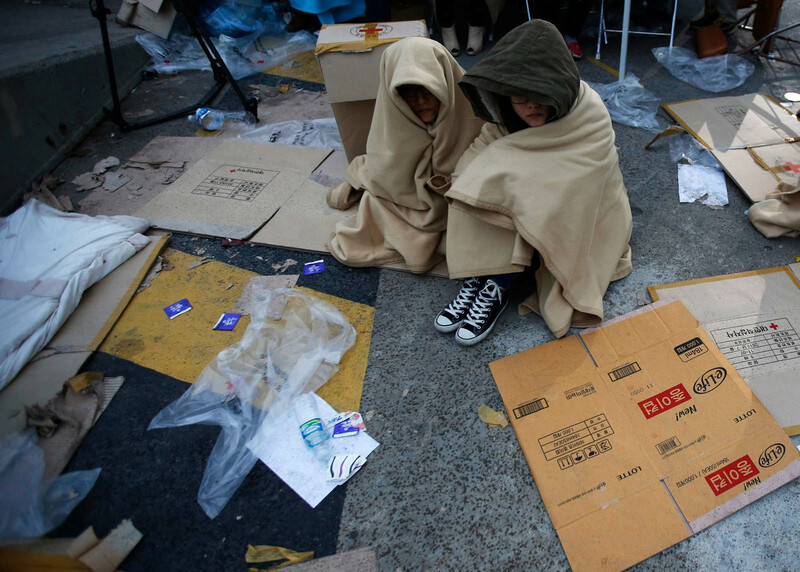 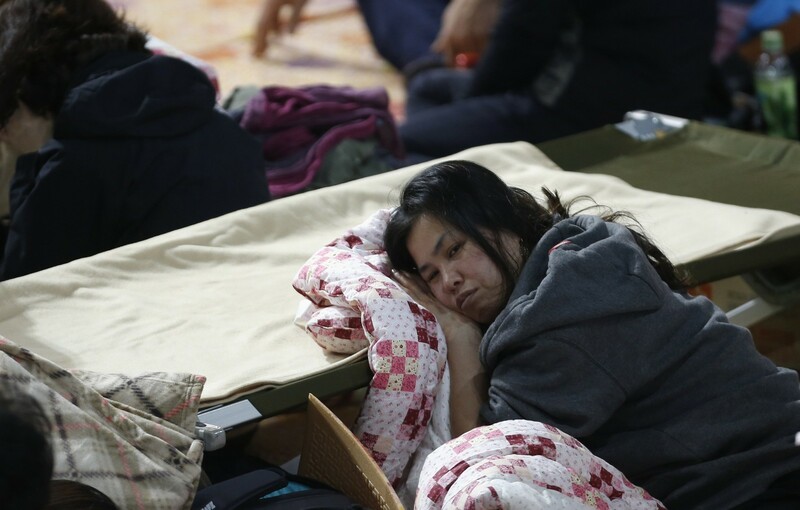 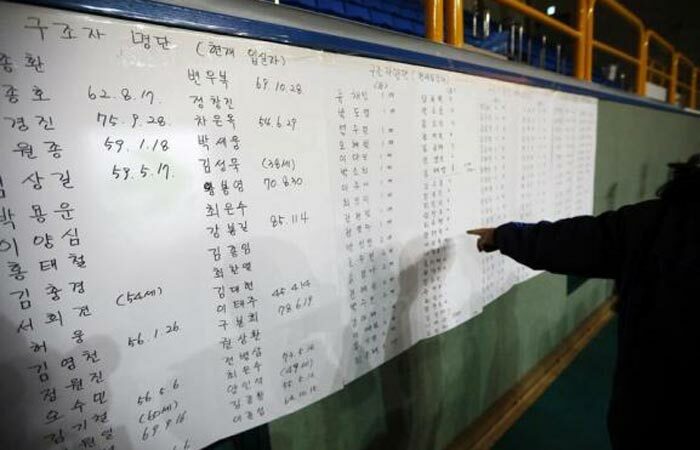 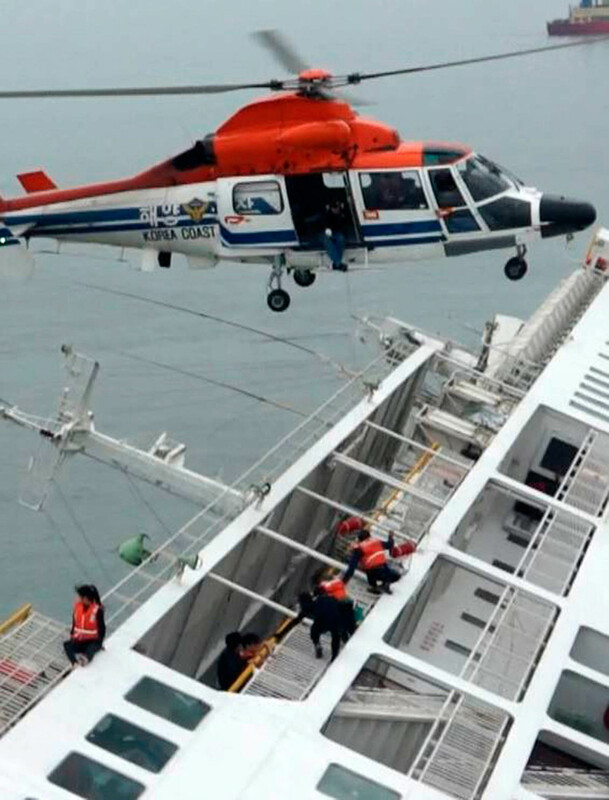 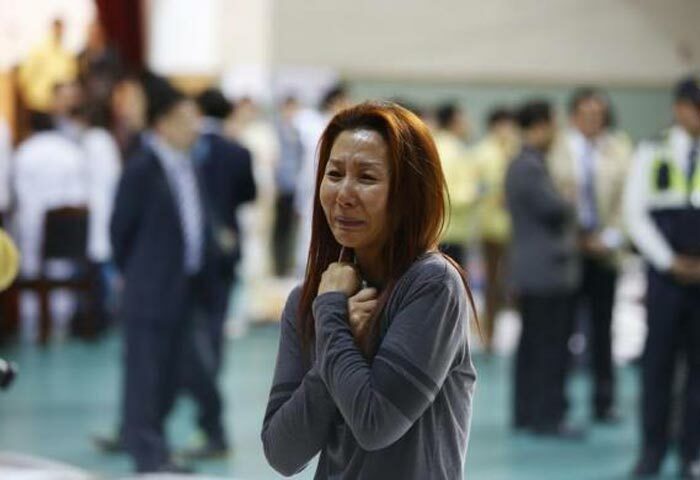 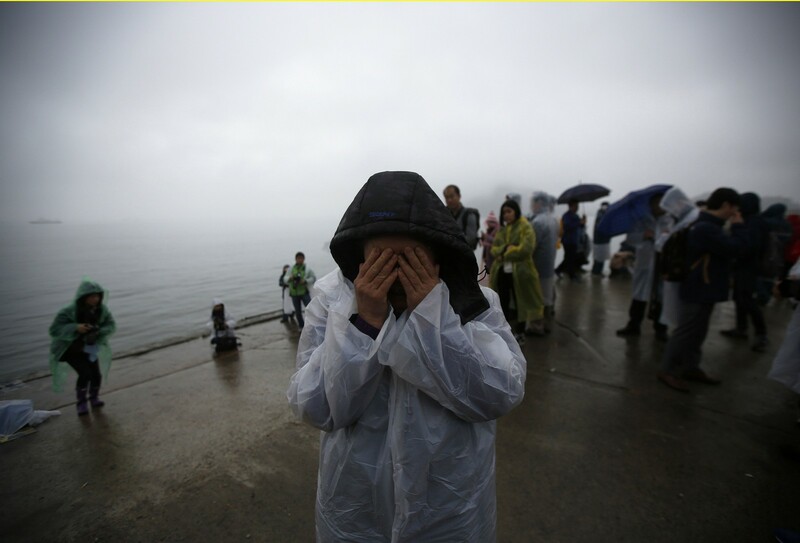 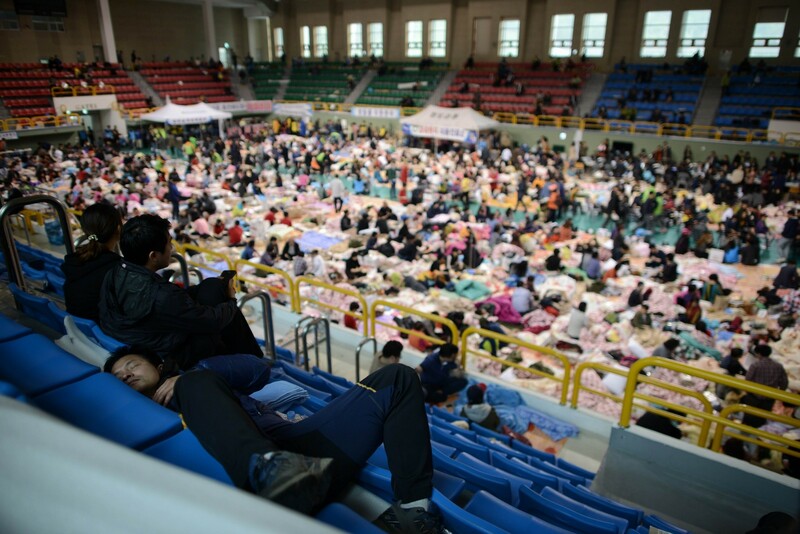 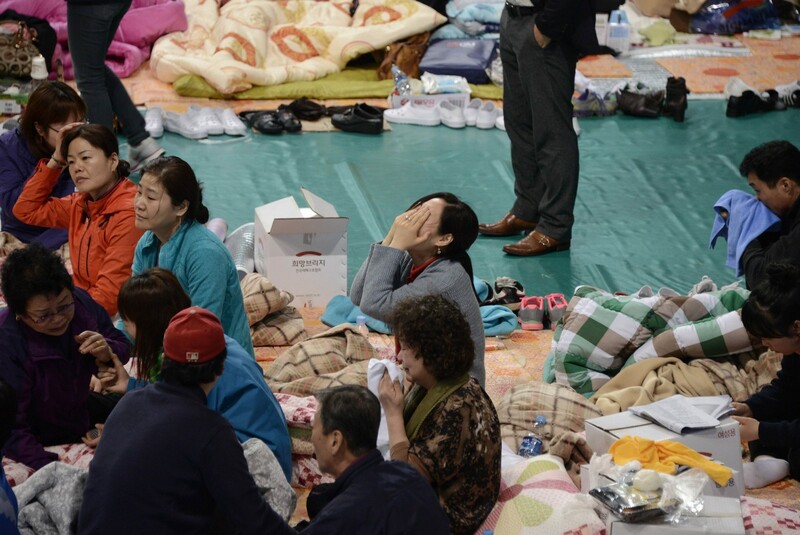 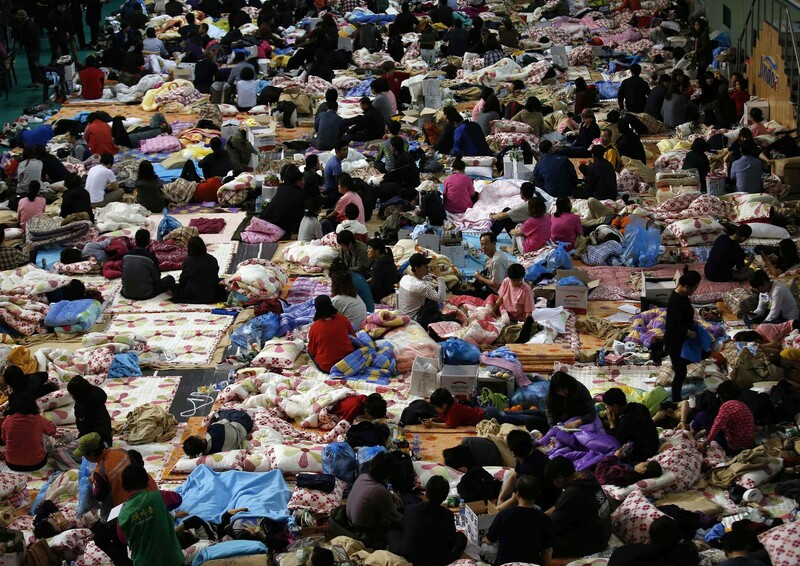 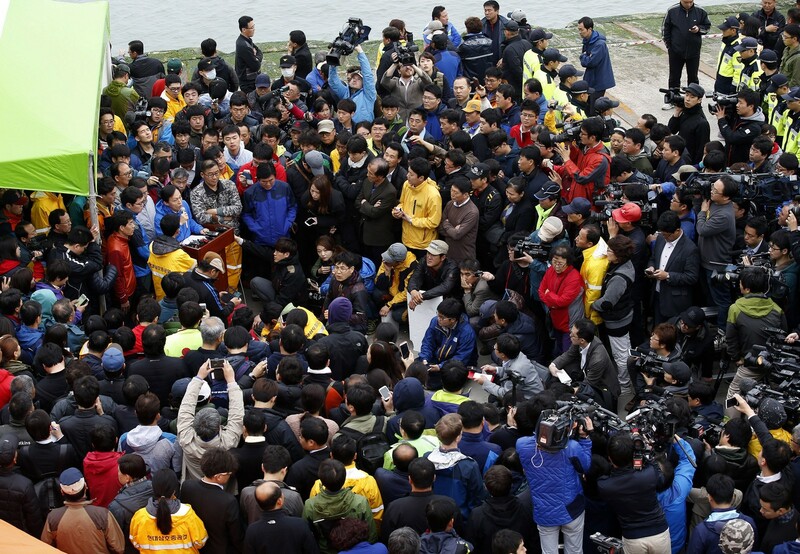 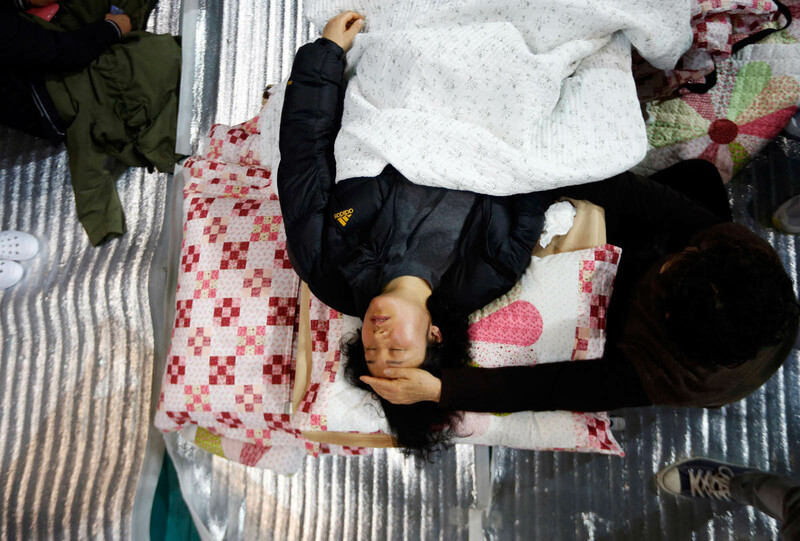 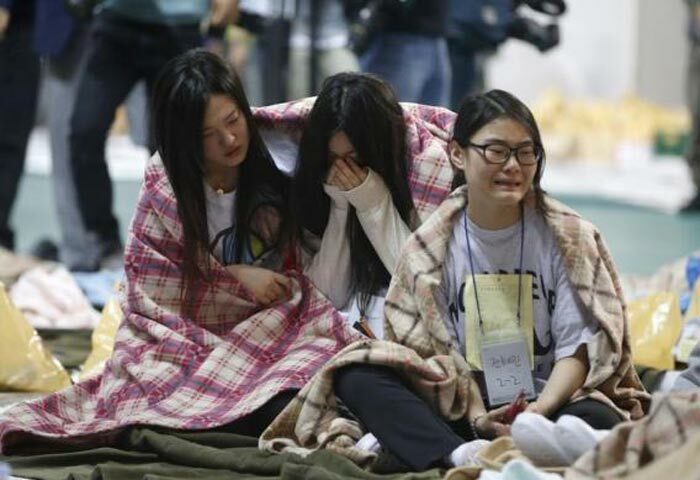 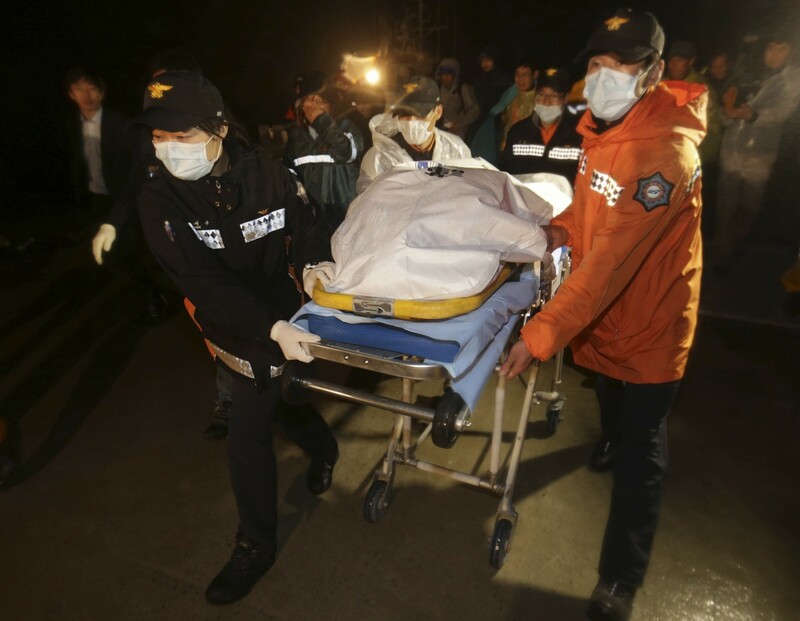 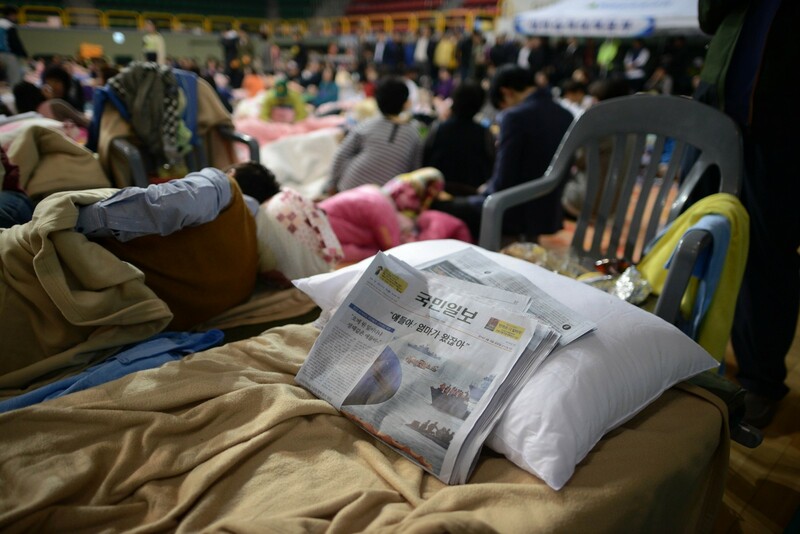 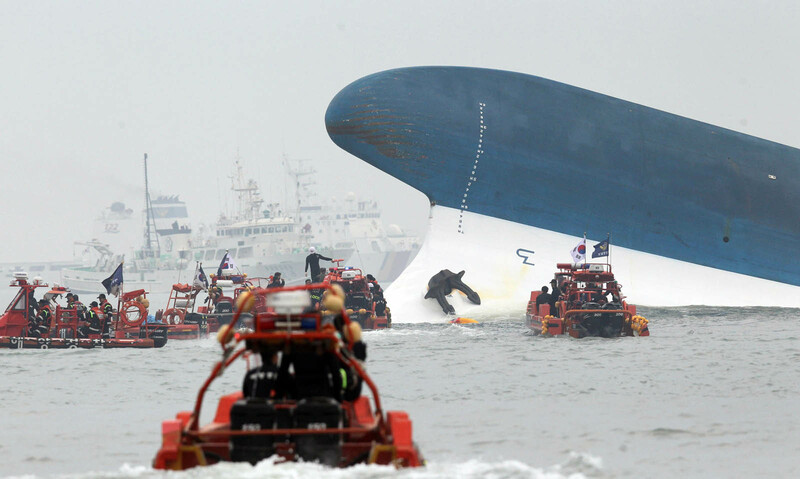 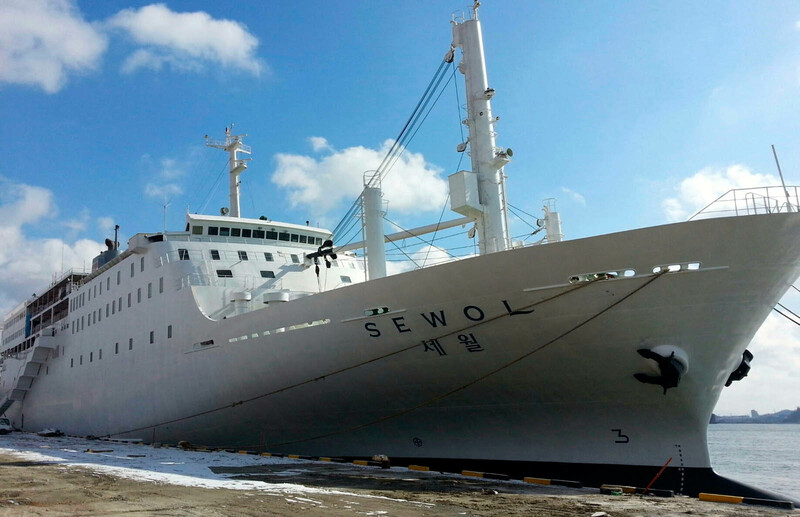 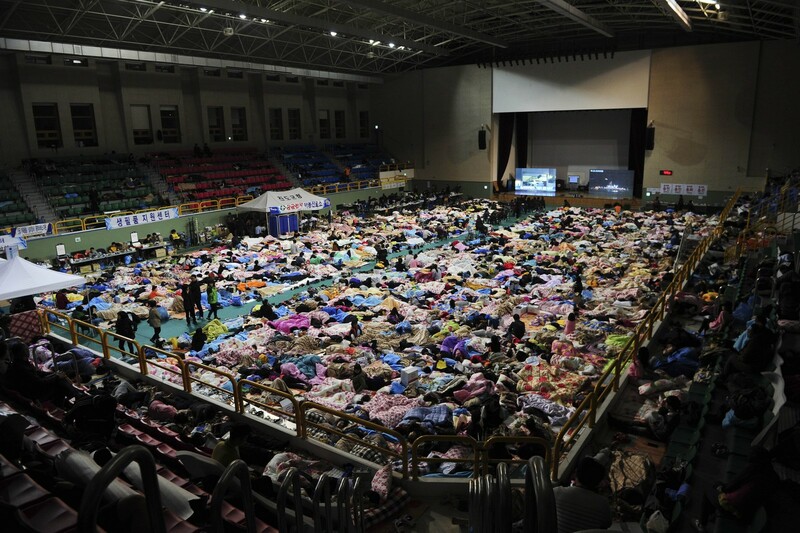 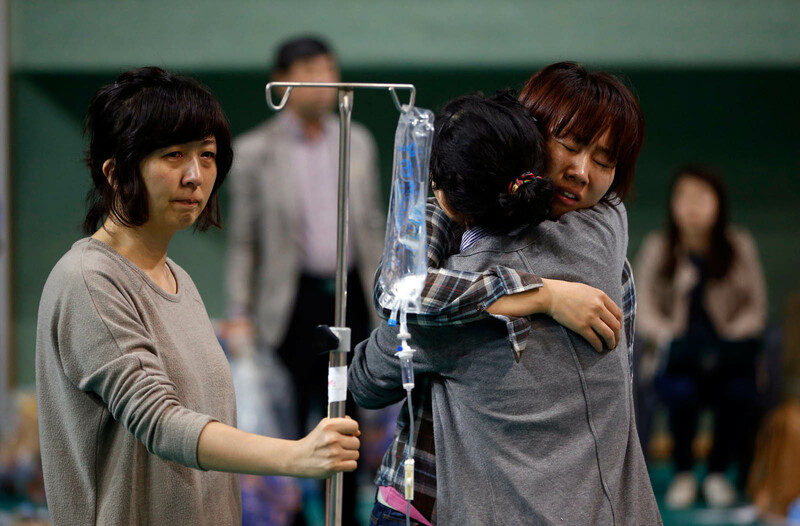 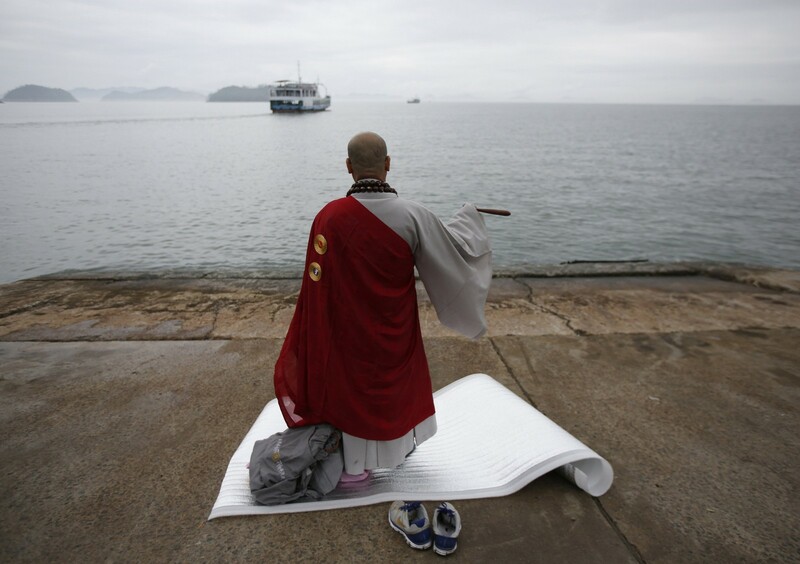 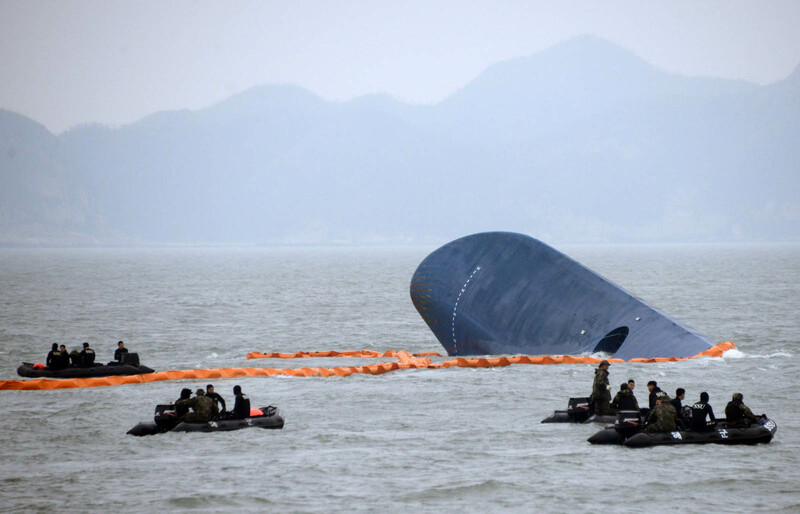 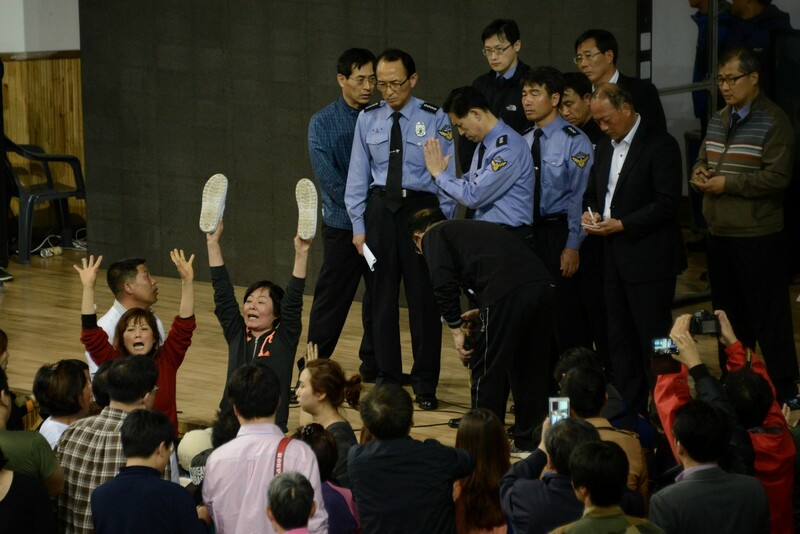 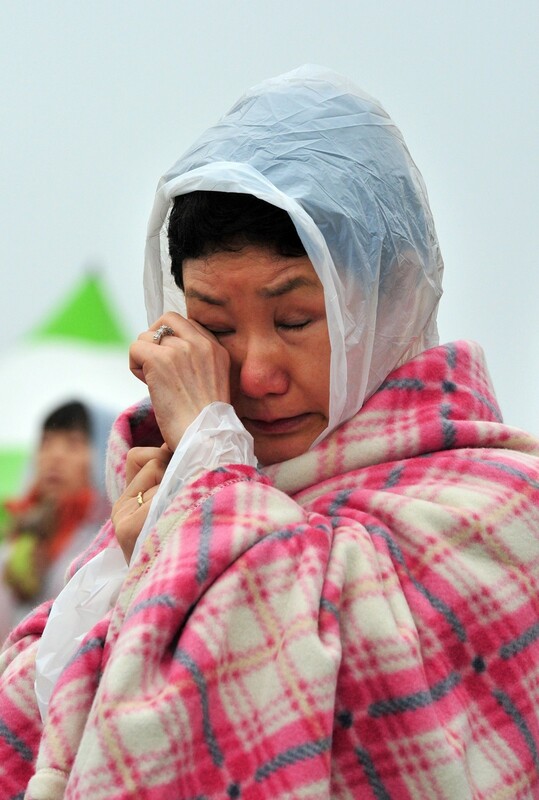 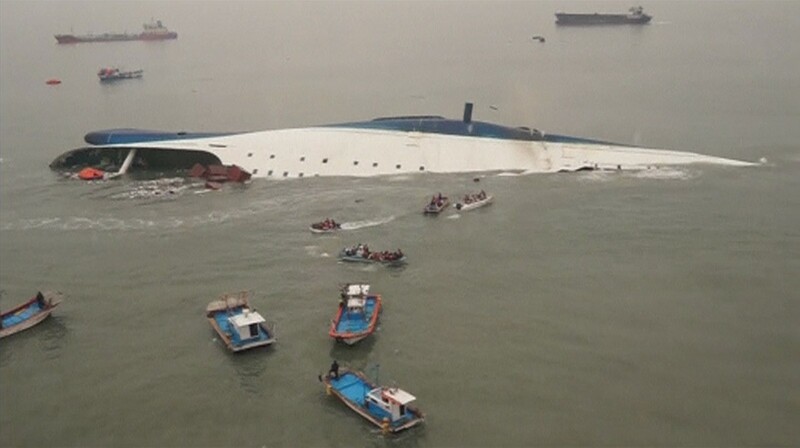 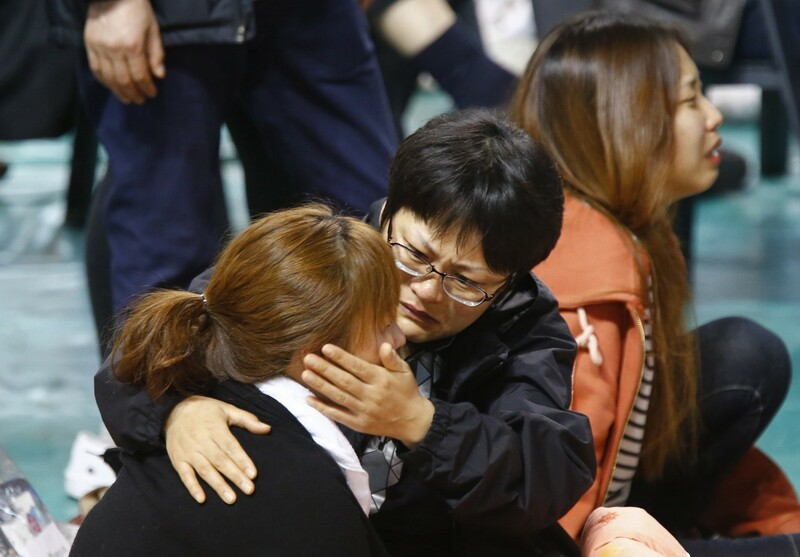 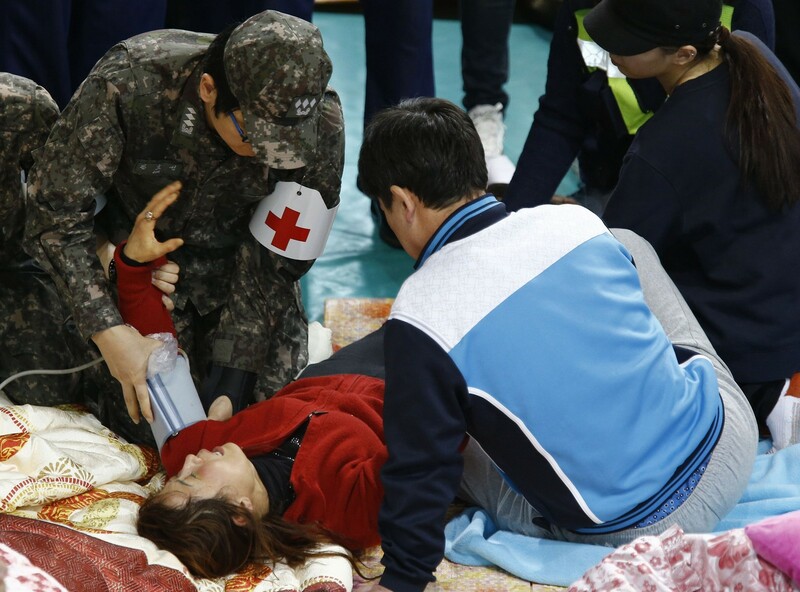 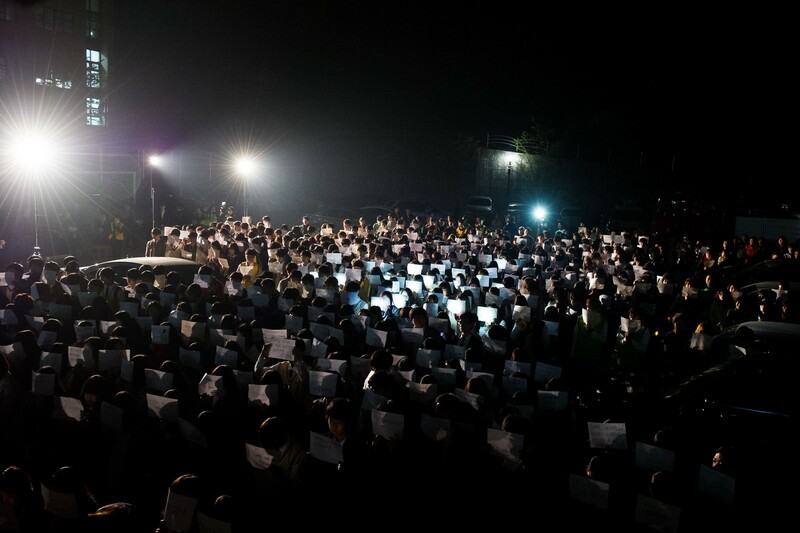 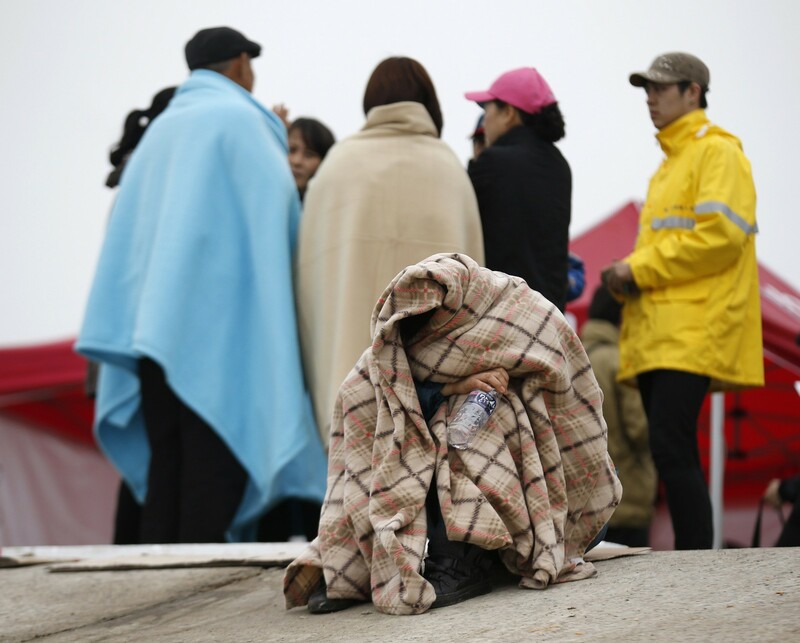 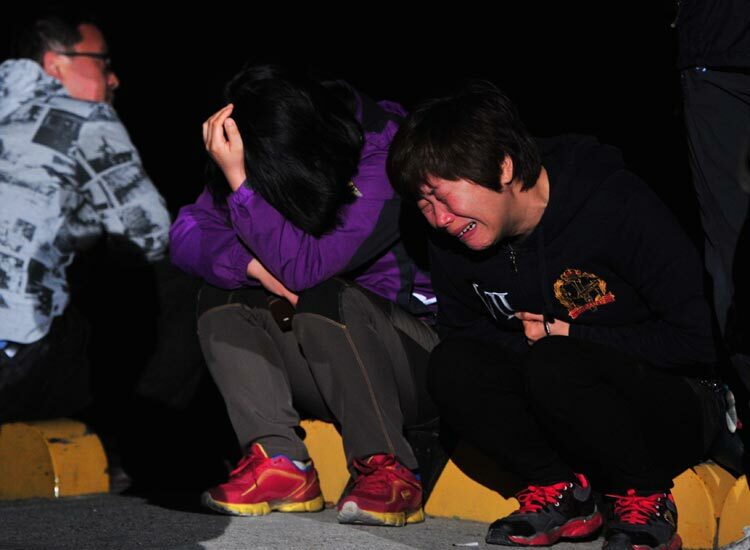 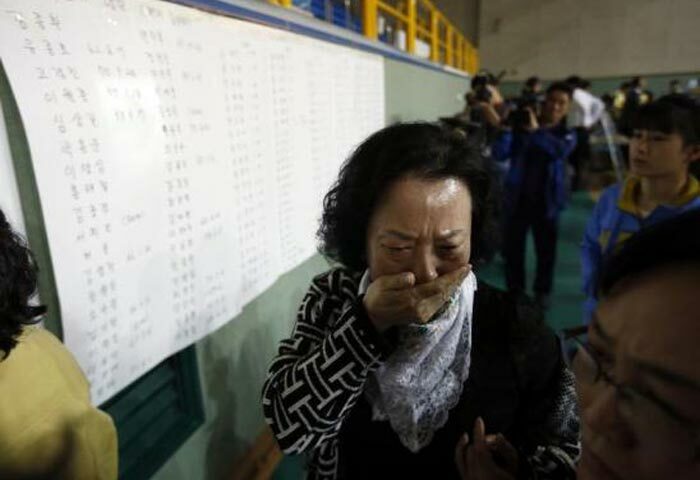 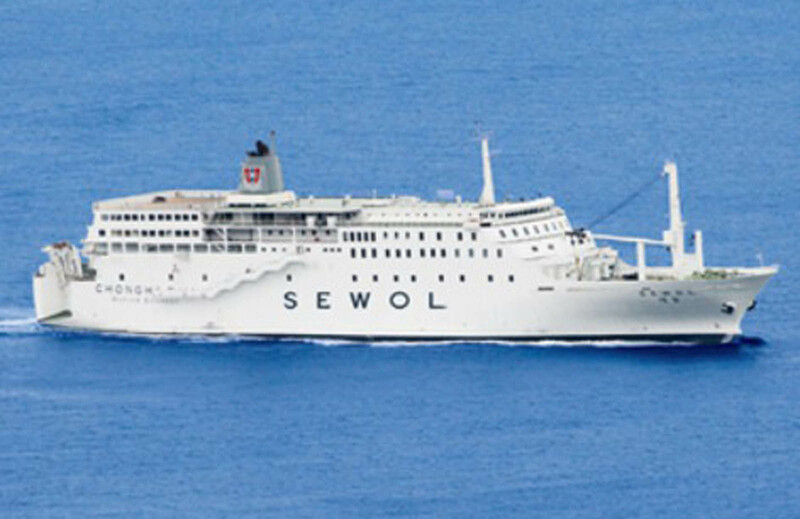 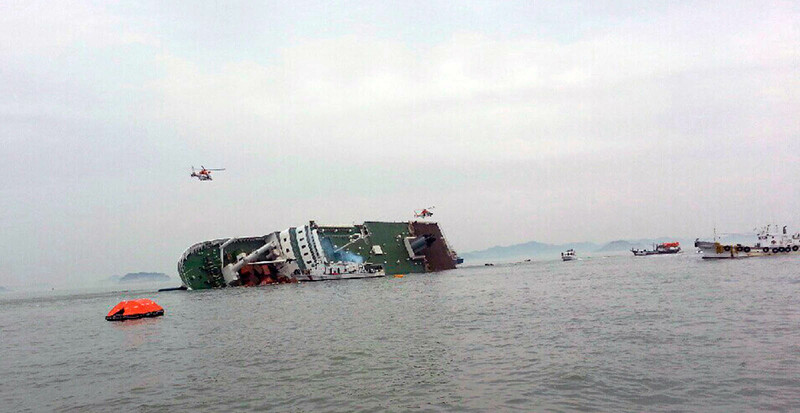 As of 10:00 a.m. Friday, a total of 25 have been confirmed dead among the 475 people aboard Sewol.